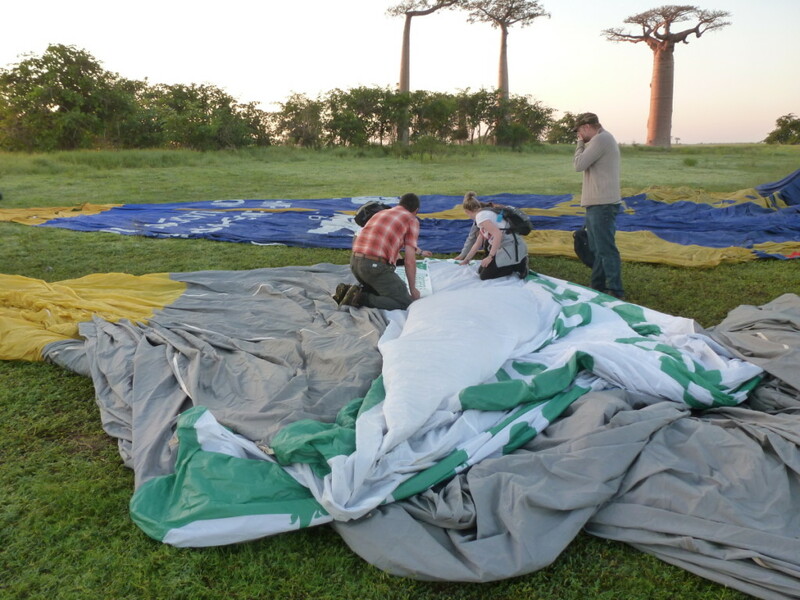 No coffee at 4:30 when we get up, so we go directly to the launch field to check if all equipment arrived. Unfortunately the truck is not there and for the information we receive, it will not arrive early. 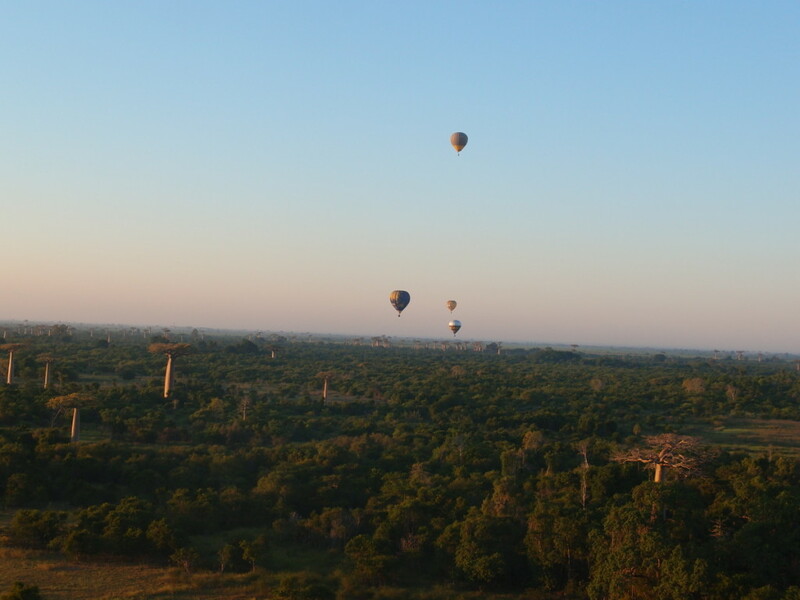 So we have to manage to fly as much Balloons as possible for the equipment we have. 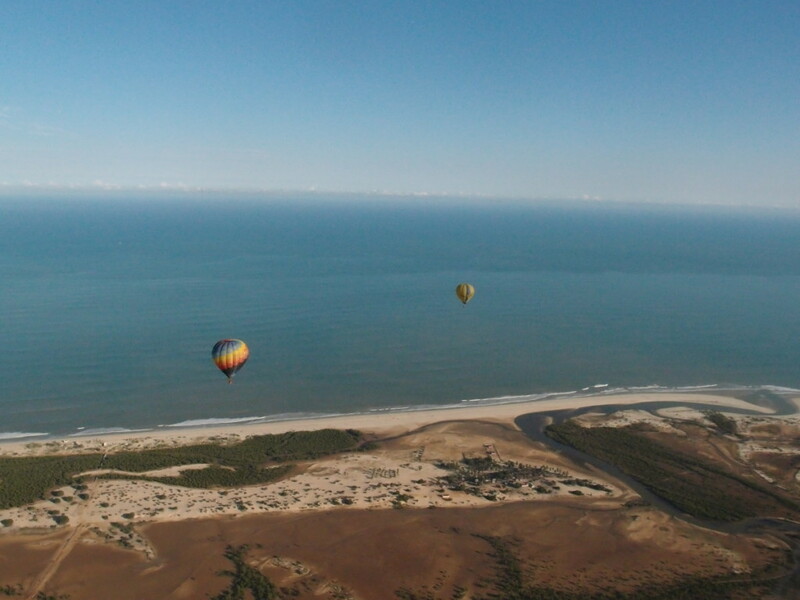 At the end can fly 6 balloons with not much gas, but enough to make a wonderful Flight again. 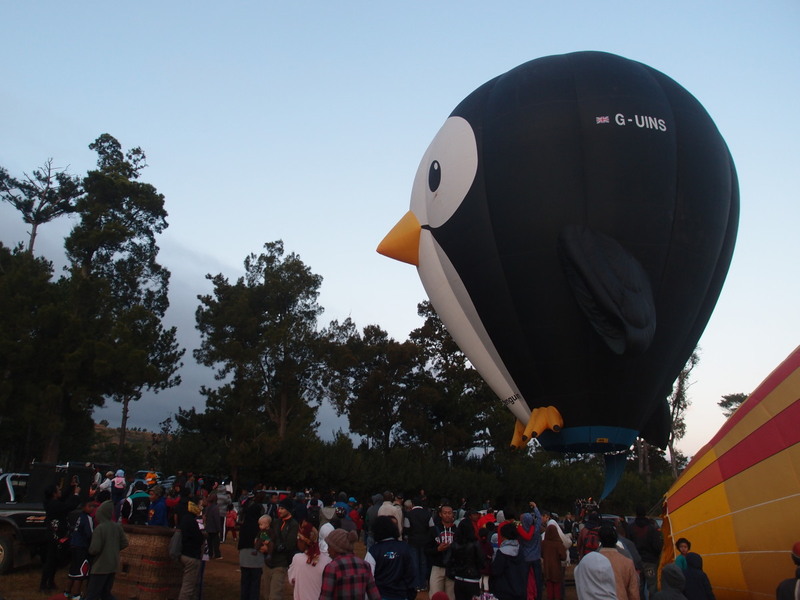 We have to use the pingouins so more Balloons can fly and pilots know they are special Balloons that they have to take care even more. 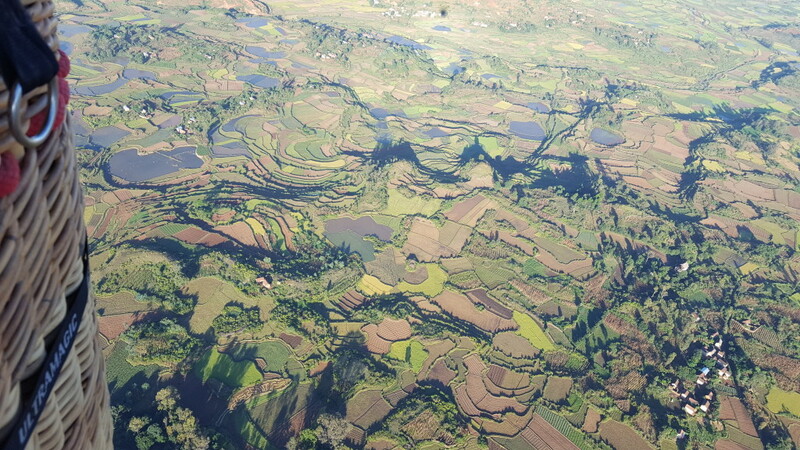 The landscape is very diferent and all pilots appreciate very much the Flight . We go back to hotel relatively soon to have a full breakfast and we do the picture of all group now that we have some time left. 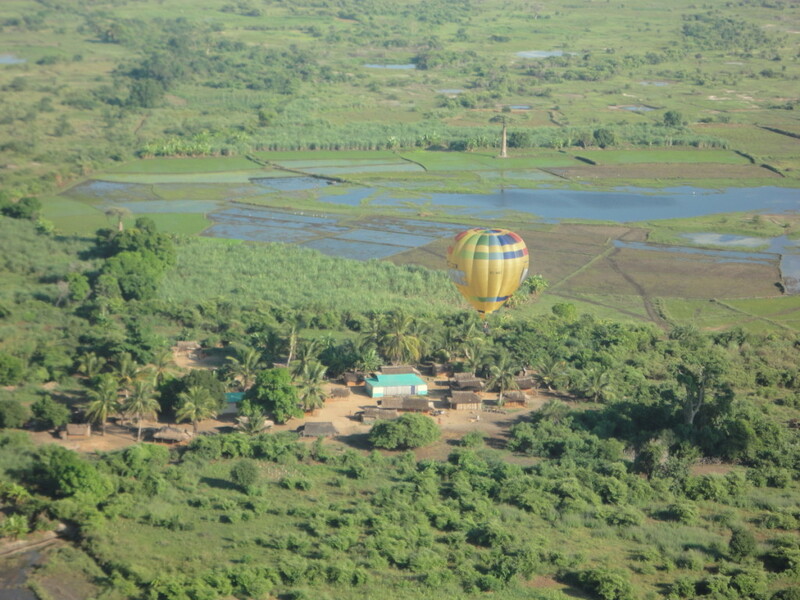 We go with the buses to Tana like sardines in a can, but we are all happy at least most could fly. 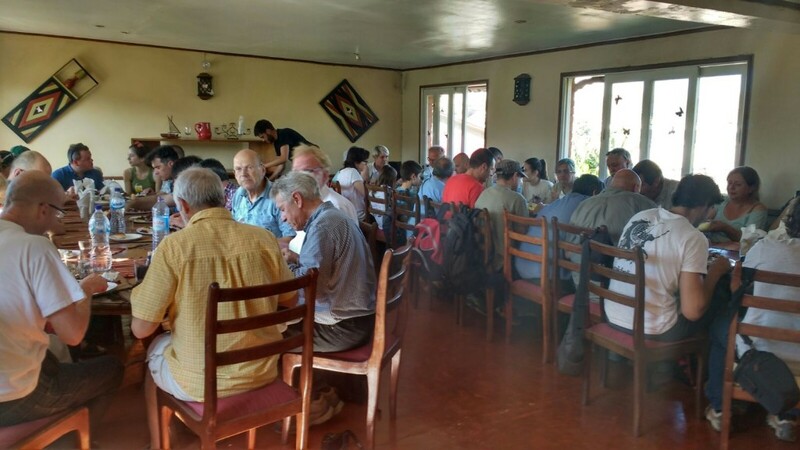 A short stop on the way to have a taste of the excellent “foie gras” is made in the area and when arriving Tana, all the group stays for a couple hours in the center . Later we go at the hotel near the airport to have a farewell dinner and we accompany all the teams to the airport to go back home. 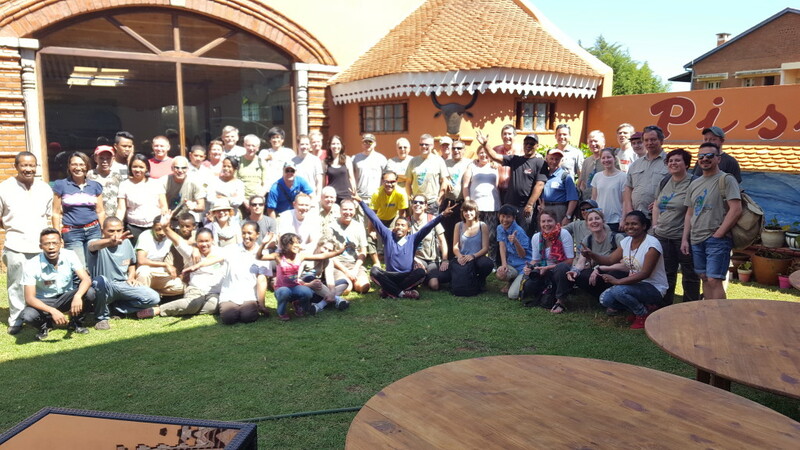 We believe it has been a wondefful experience with both groups and we feel satisfied everybody has acted as part of the group to help in what was possible for him or her. This gives us energy to think in another Ultramagic Experience in the future, but this will be another story. We have breakfast at 8 a.m. and we know the missing team will arrive around 10, so we wait for them in the main road, to avoid them the 20 minutes of bad road to hotel. 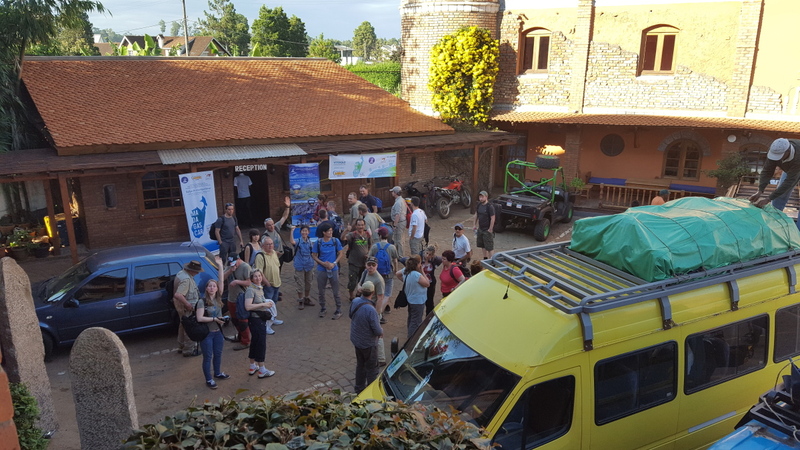 So all team is joined again and some stories with the porters, trucks, pick ups, etc. Come out. 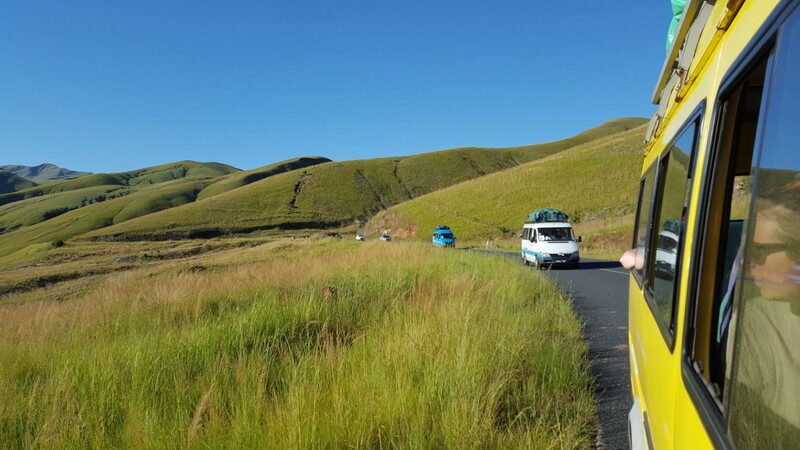 We make 50 km and one minibus is broken and we have to wait for ovver one hour the replacement. Then we realize how lucky we have been with so much vehicles and very few stories. We see again the Balloon designed in the hills surprisingly. 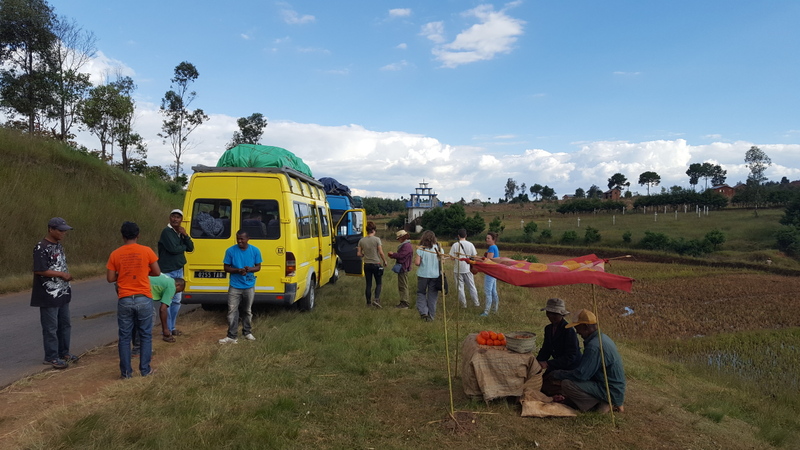 A nice lunch at half way make the trip to Antsirabe easier and then we can take some pick ups so we can all go more comfortable in all vehicles. Waiting to make the convoy for the unsafe area for more than two hours and different problems with cars made us arrive at 1:30 a.m. at the hotel. So the vehicle’s story has changed a little bit. 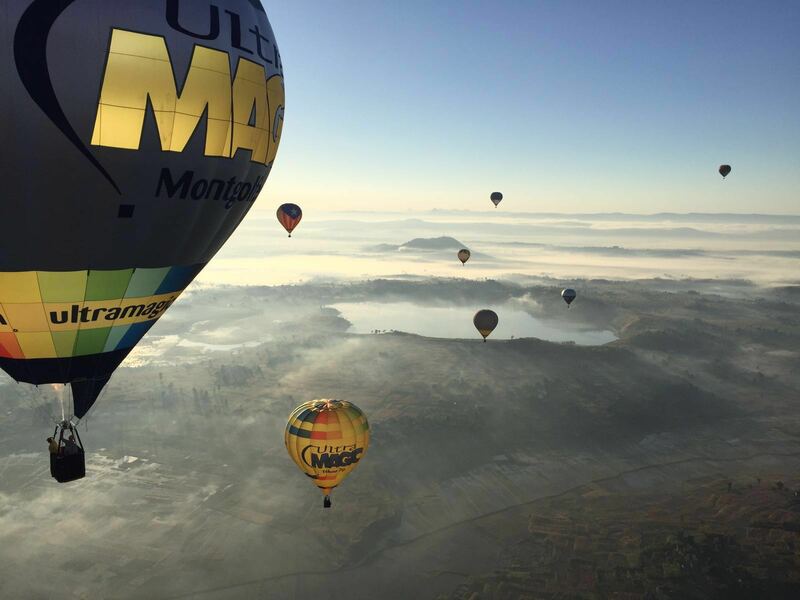 We will see then how many Balloons arrive at the take off site and we will share them in the best way. 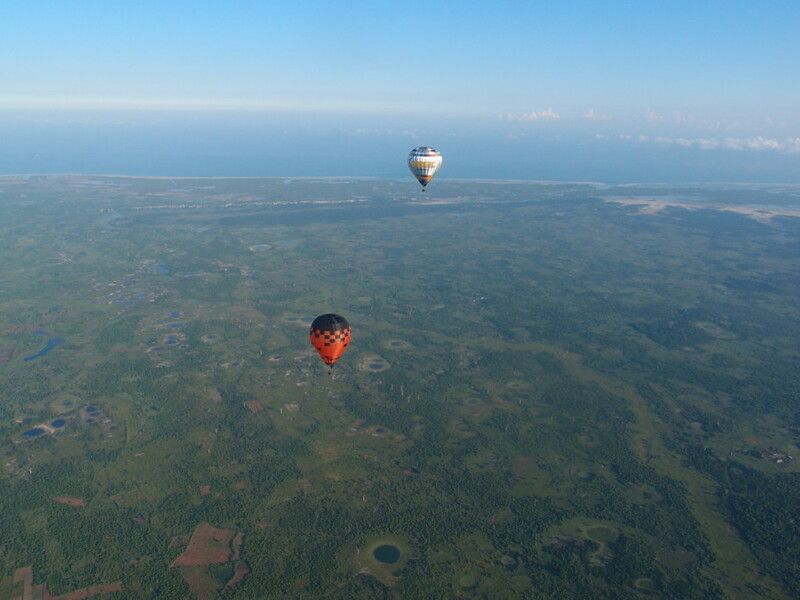 Friendship Balloon still not arrived in Bekopaka. 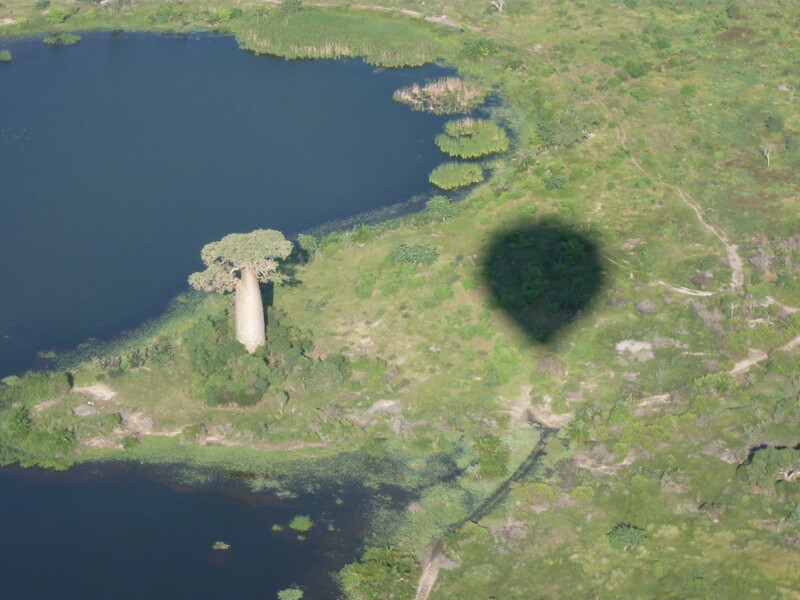 After having a good rest, we start organizing the come back to Morondava. The Kon-tiki team starts to move with the rest of equipment from the landing point to reach the aerodrome where can arrive the truck to load it. 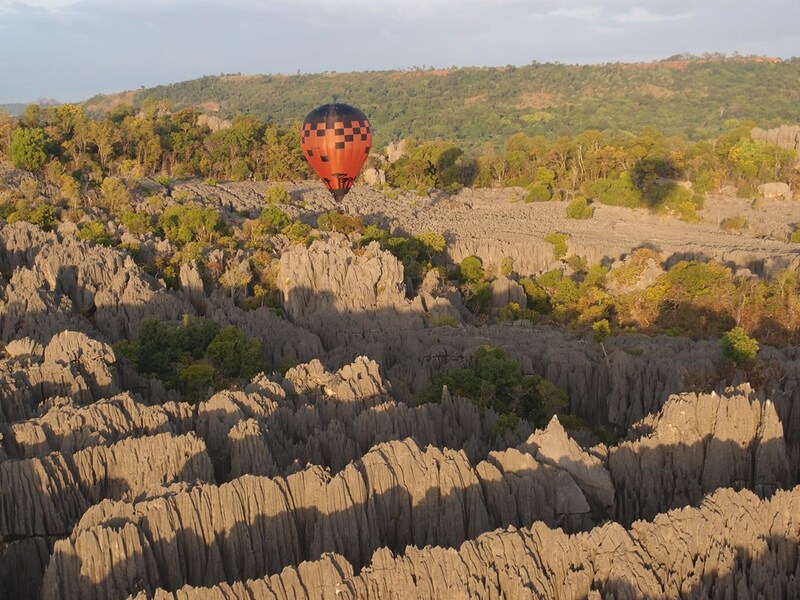 By 12 a.m. we know all is there, except a Basket and some cylinders that are in te Tsingy parking as was planned before. 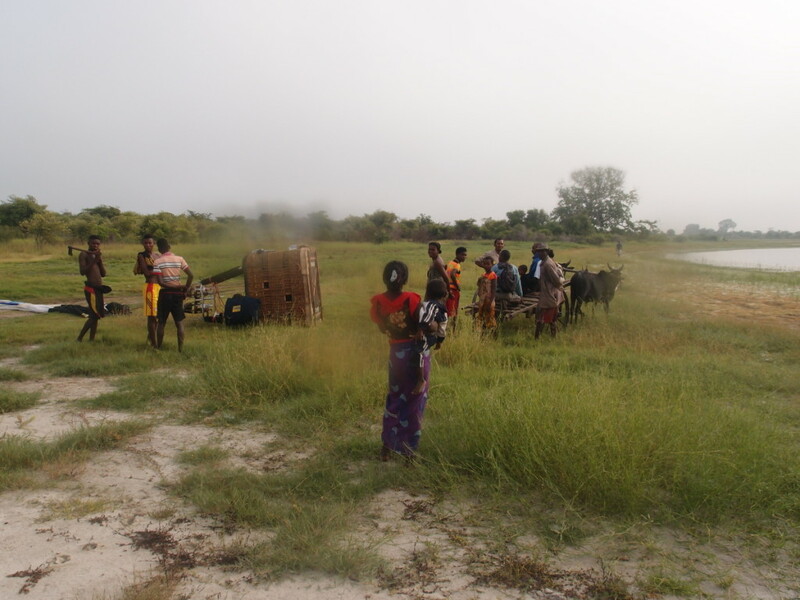 The pick ups loaded with all equipment there in Bekopaka with all teams moves back to Morondava. 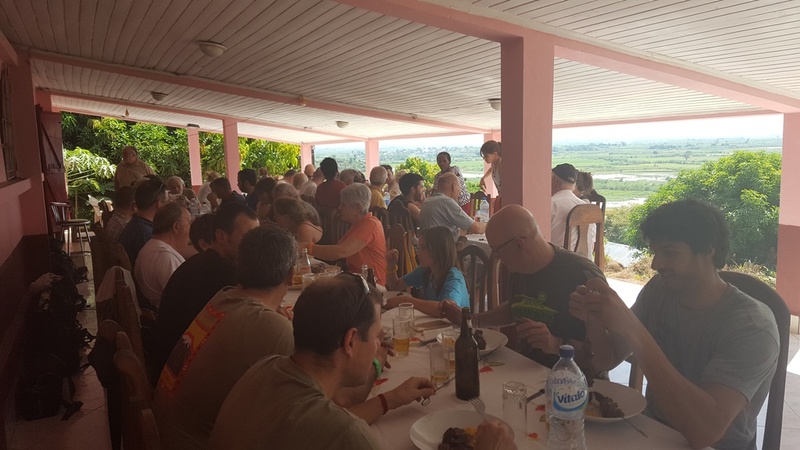 Exceptional good lunch before the big ferry and arrival at the evening in Morondava . 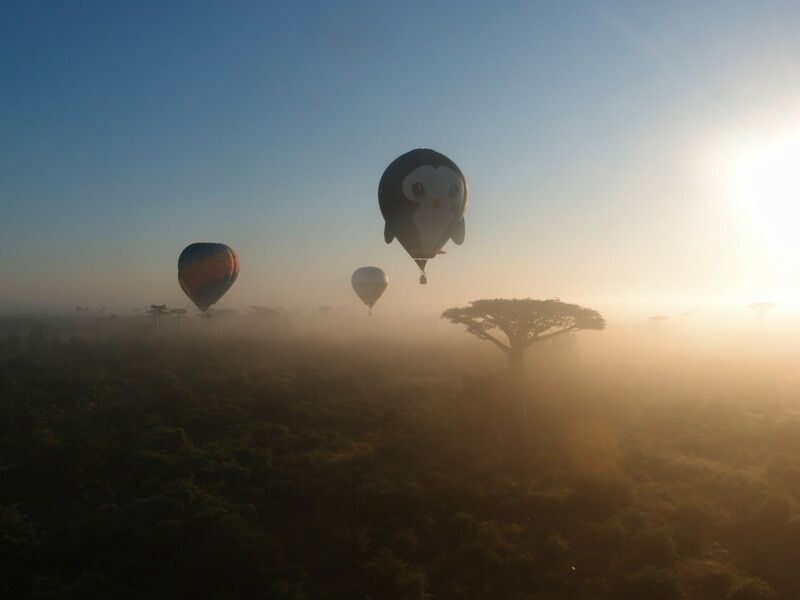 All equipment except Friendship Balloon is coming, but unfortunately the ferry in the night stops and team Kon-tiki have to sleep in the village. Comfortable evening in the hotel with cold Beer and relax as we plan not to fly the next morning. 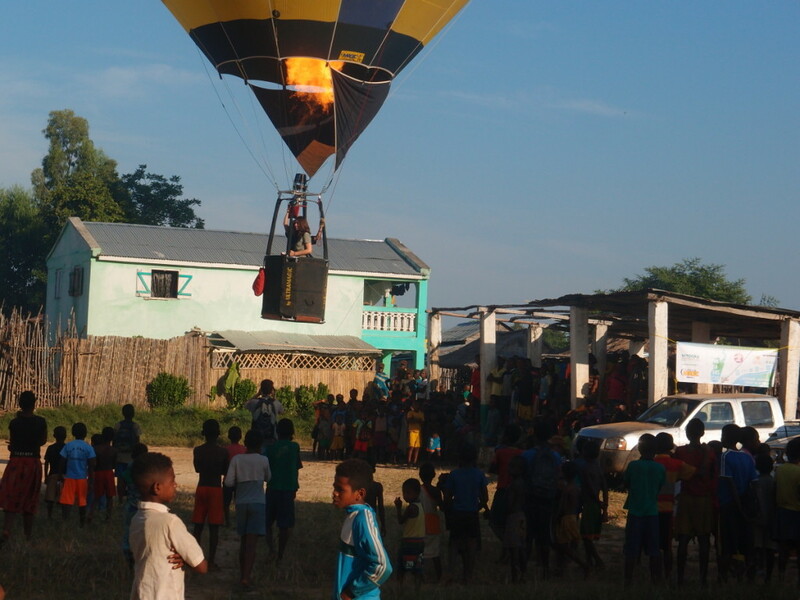 Then we know all the equipent of the 7 teams together is arrived to Bekopaka but the Friendship Balloon not yet. 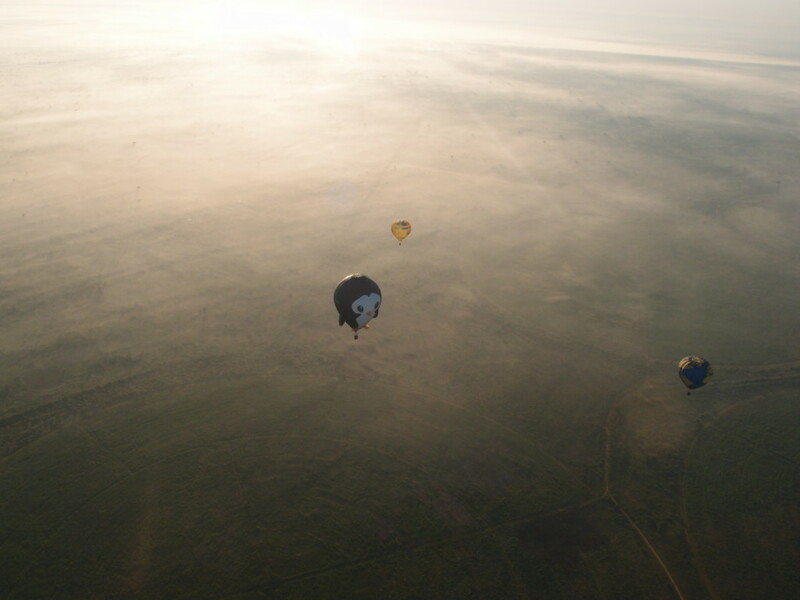 We drop a balloon at 5:15 and the winds at low altitude are not much as predicted, but we trust that in altitude will be from N-NW so we decide to take off as we thi nk it is safe. 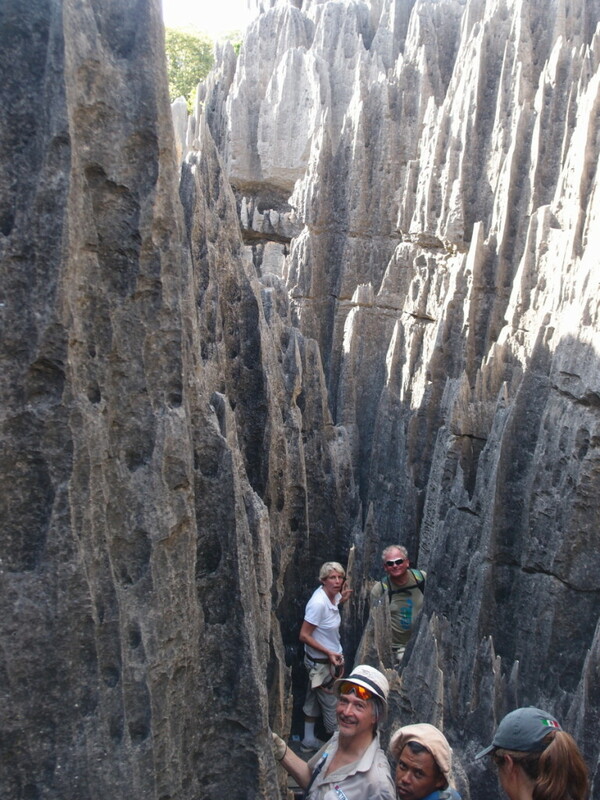 Low we go NW but as soon as we start to climb, we find a layer going NE so it is perfect to enter the Tsingy. 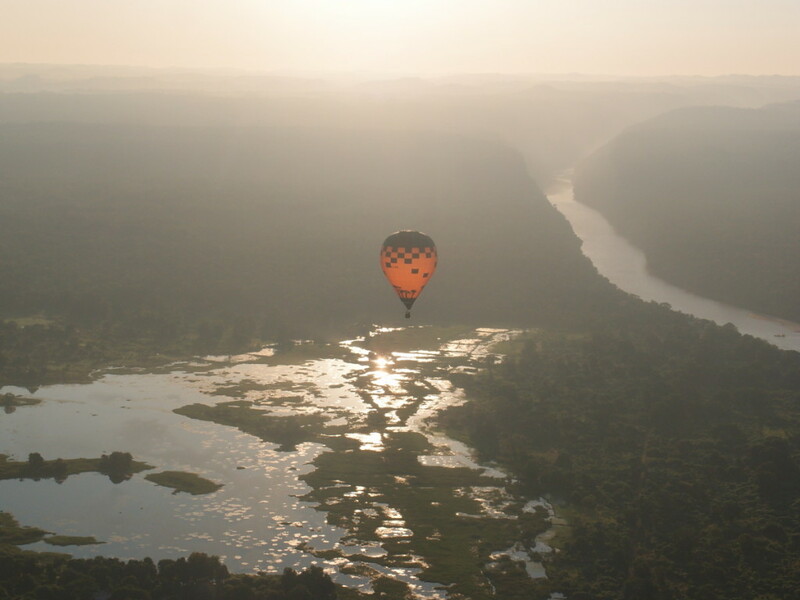 It is so vaste that we can fly there easily. 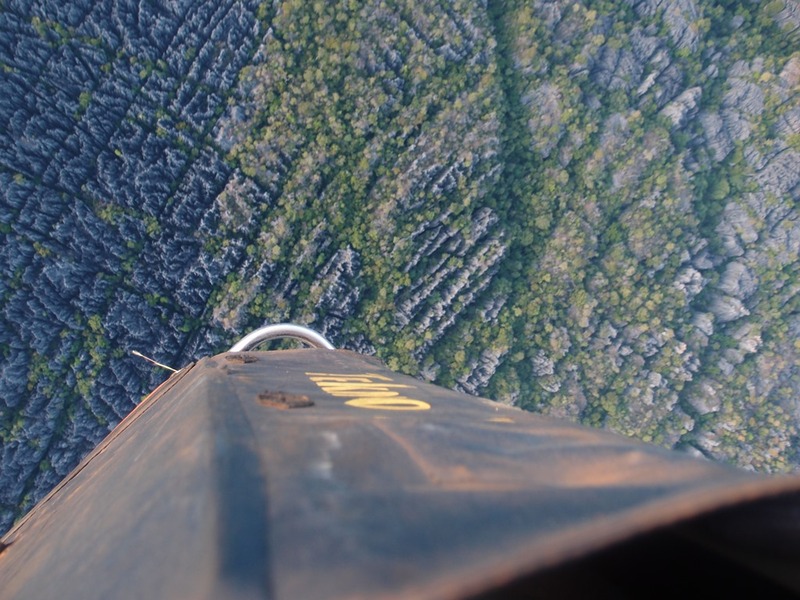 When we are deep in, we descend to be close to the ground needles and we have one of the most amazing flights ever. This is the sherry in the cake and we have done it. 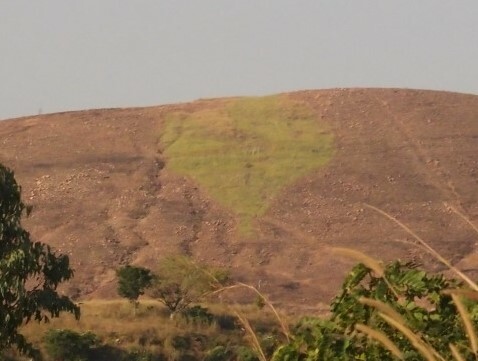 This are some of the pictures that make a little justice to what could be seen. We ill never forget. 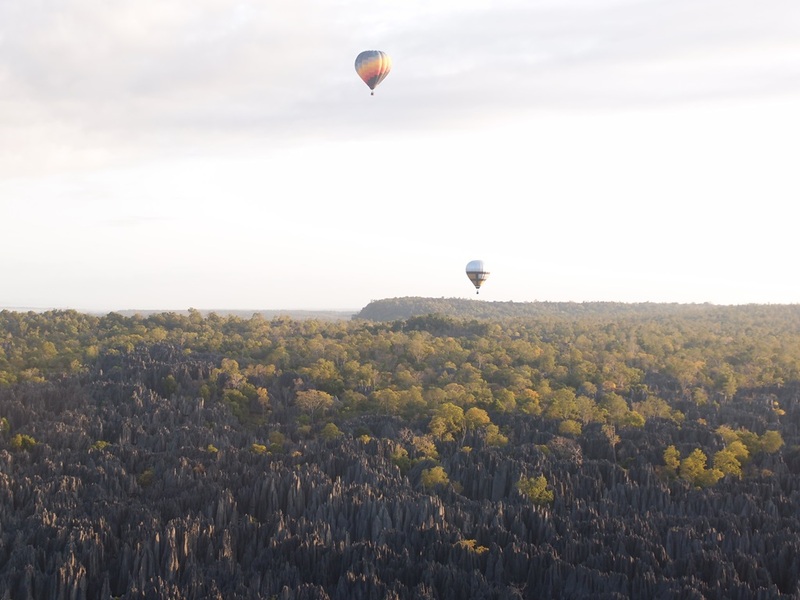 We continue flying low direction NW to go out of Tsingy with the idea when we are west enough to climb and go SE. 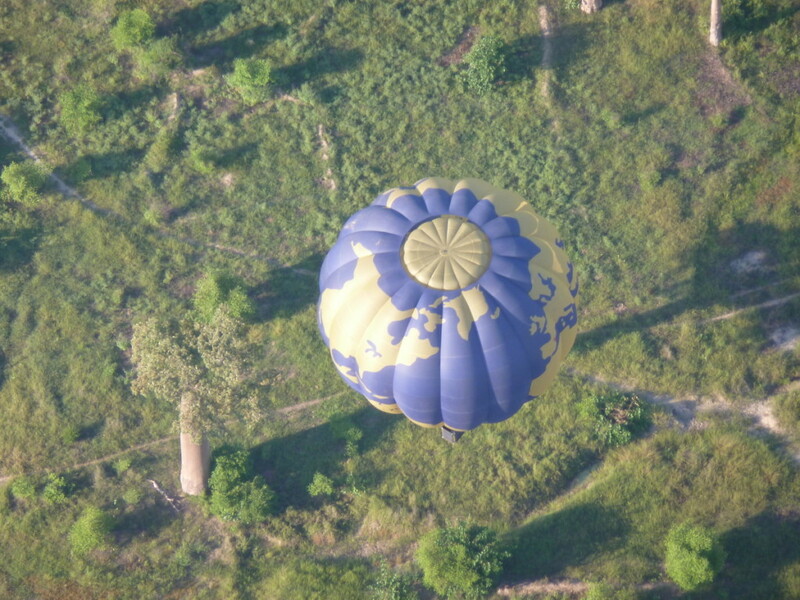 Then we see village in the “track” of the map where we are pointing and as we are all balloons nearb we decide to land near there. 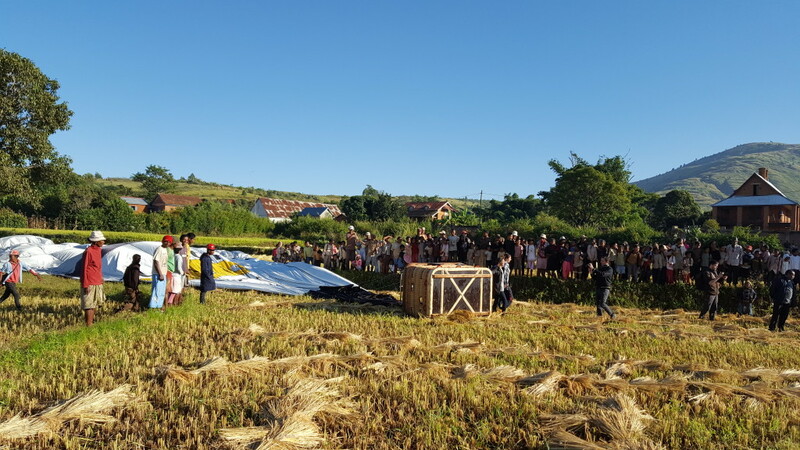 We hhave thought that if we are all together, the retriieve, even difficult, can be easier than if we are spread climbing and going south East because at the East of Bekopaka also is not easy landing. 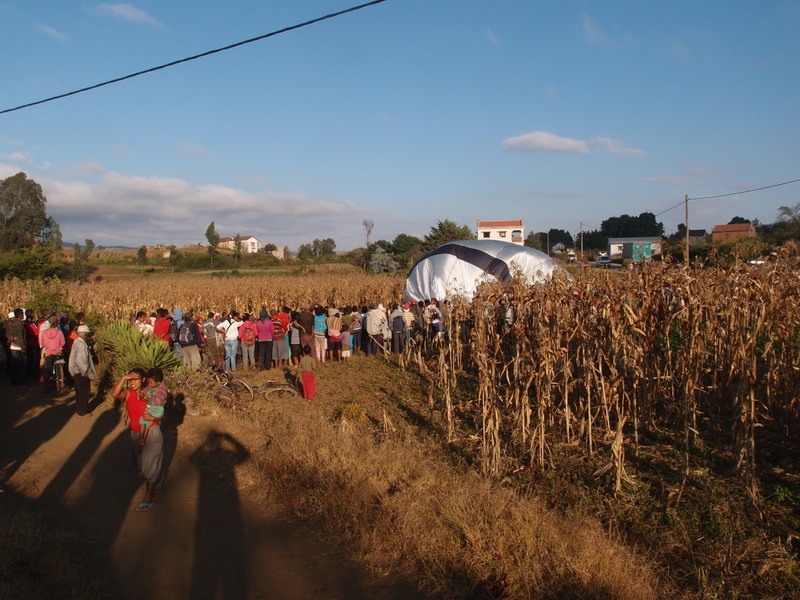 After landing there and the villagers start to come and help, we take all the equipment to a good shadow so we join all the teams there except two. 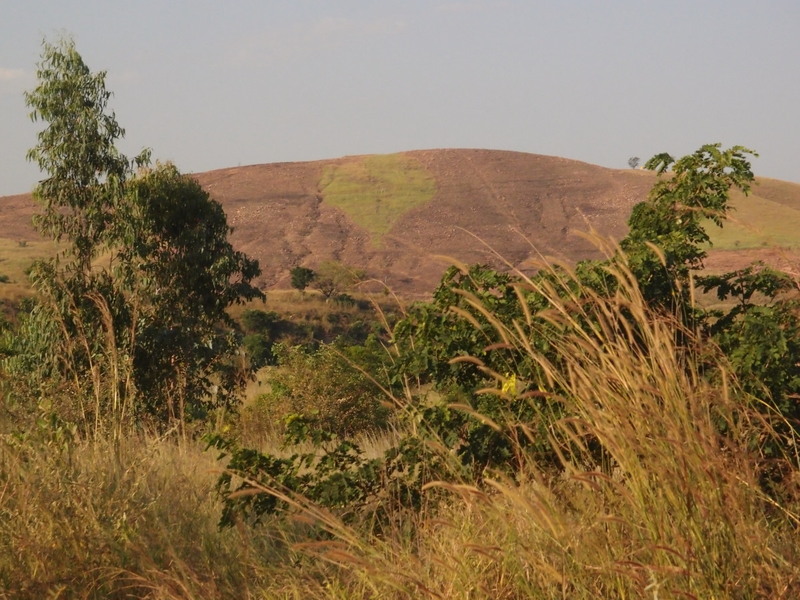 One comtinued far away north and the other is in the previous village very near, so we meet later. 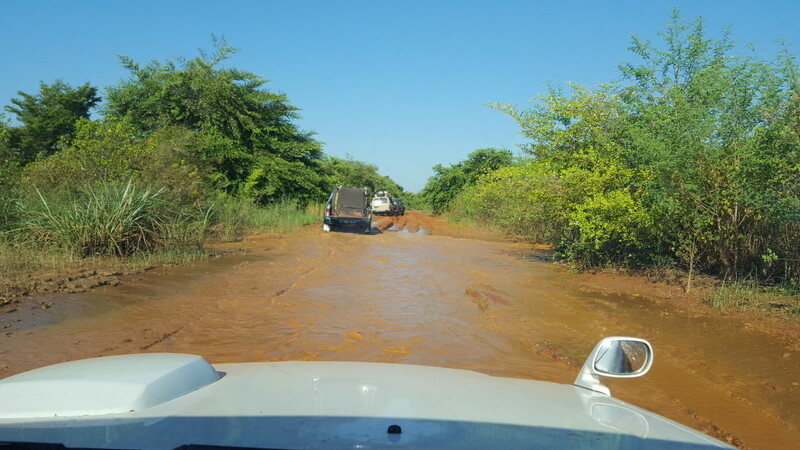 Once known th situation they tell us the road is not anymore ther and even cannot arrive the zebu chariots. So we start negotiation with them to carry all the material. 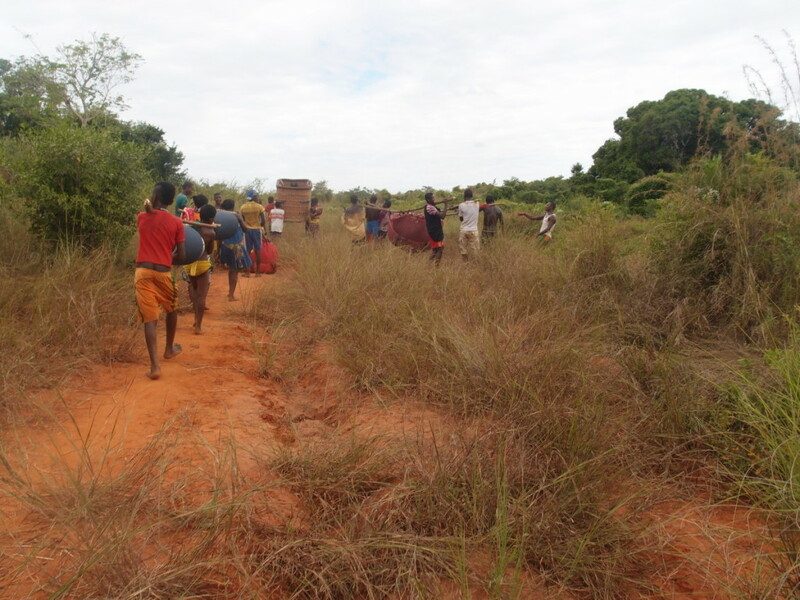 The village is not big enough to have people to take all equipment, but we start to move until another village that there are chariots. 6 or 4 people for the envelopes, one for the each cylinder and 4 people for the baskets. They are very strong and go faster than us even with bad tracks. We arrive at 4 p.m. to that village, but no chariots. 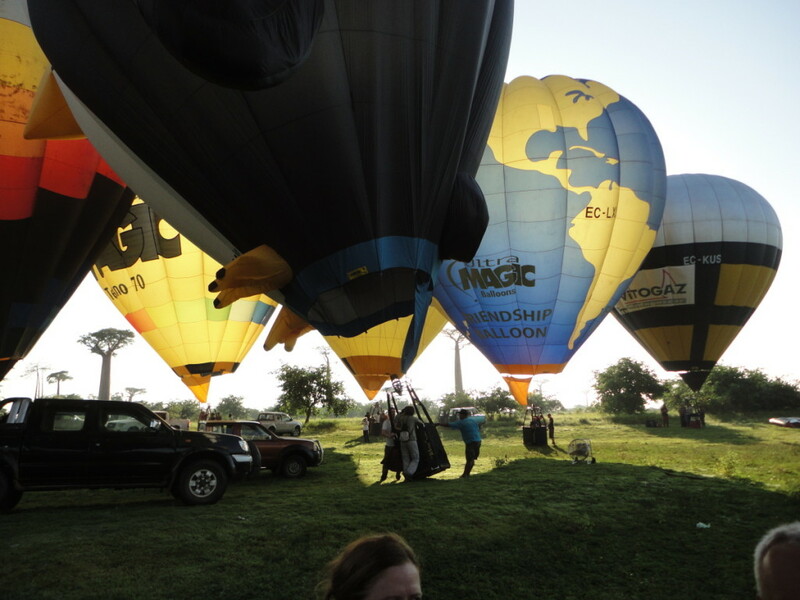 Start negotiation again as it is getting dark soon and we are in straight line to the take off site at 5.5 km . We all dream witth a cold beer in the hotel and this speed us to the Tsingy park site where we took off in the morning and we have the pick ups. 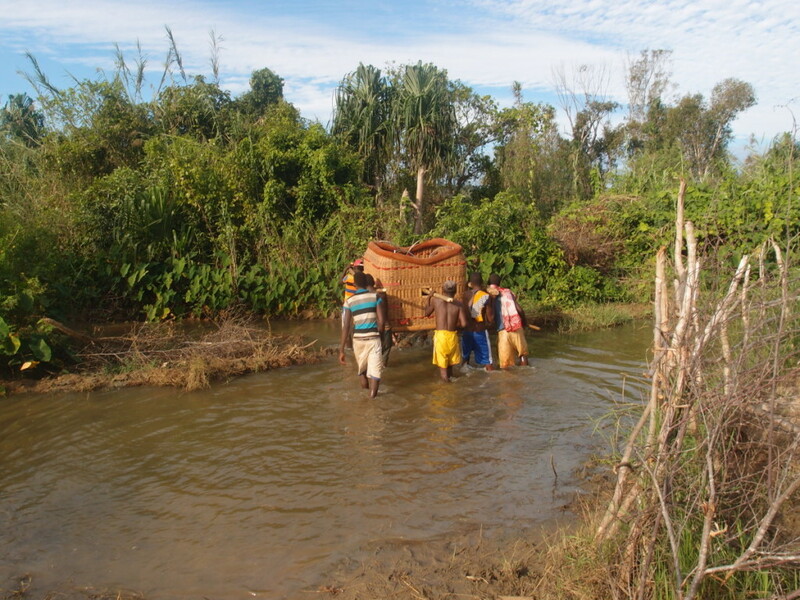 I don’t know how they do to carry a basket in the night with just one lamp in front and the porters behind seeing nothing, but they do even the track is really not flat at all. 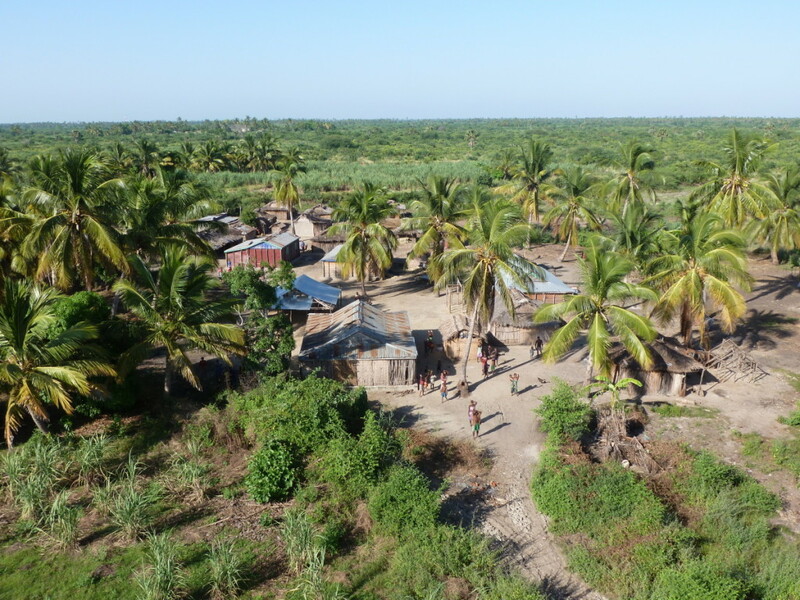 Miquel, Carles and Joan have stayed in the first village to be sure all is taken and they will sleep there because there are not enough porters to do it today. Anyway the day has been full of stories for everybody and we are all happy to be back safe even the retrieve is still being complicated. As there is no flight, we can get up later. 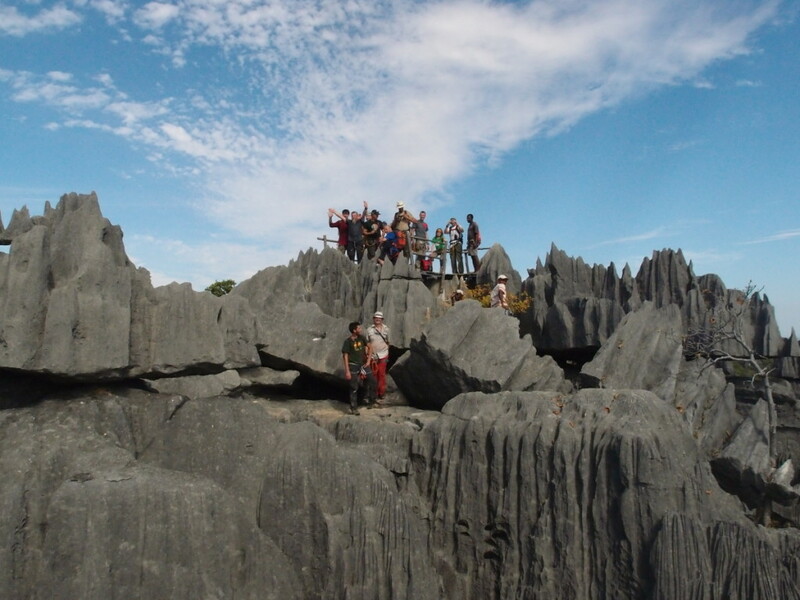 Around 9:30 we start for the Tsingy. To do the full visit walking there to have a look and to camp for next morning flight if possible. After more than two hours to arrive the parking site, we organize several groups and check the take off spot. 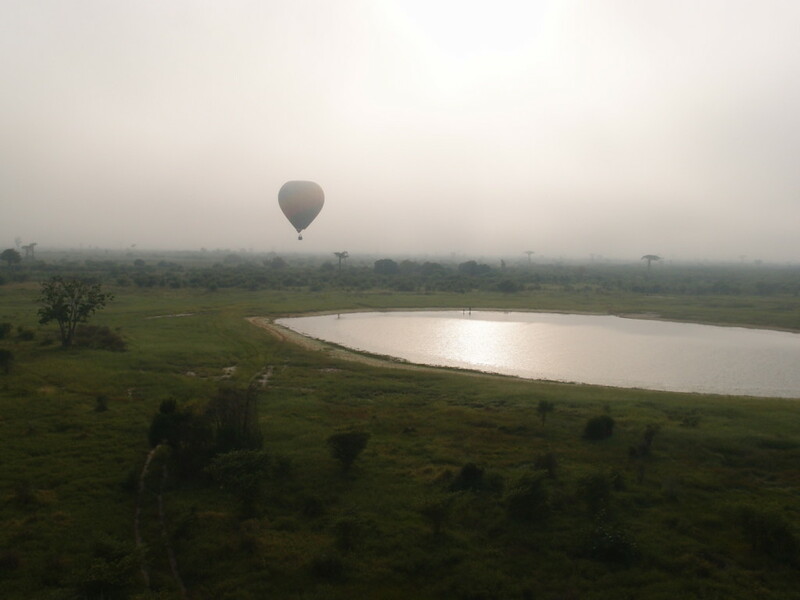 It needs some villagers to cut a big space for the balloons, and theye tell me will be done when we come back of the visit. 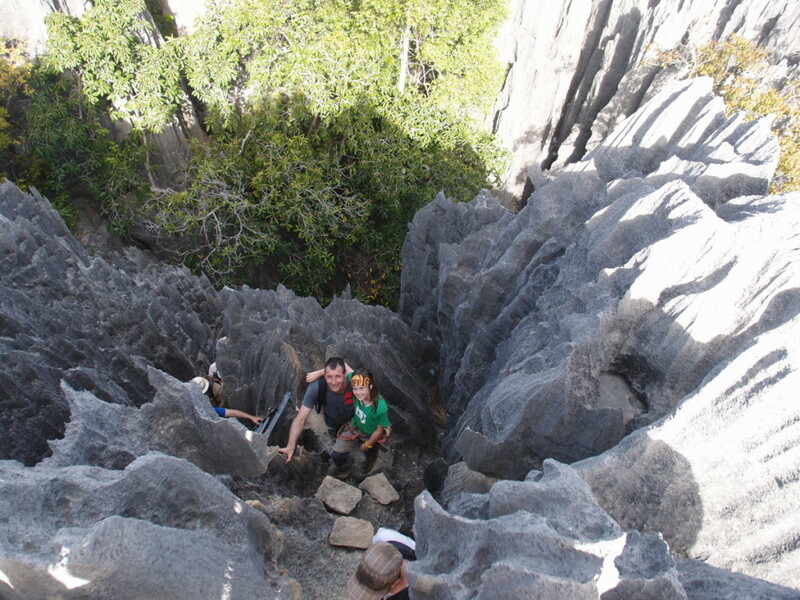 It is one of the most interesting places visited and walking up and down is very amazing. 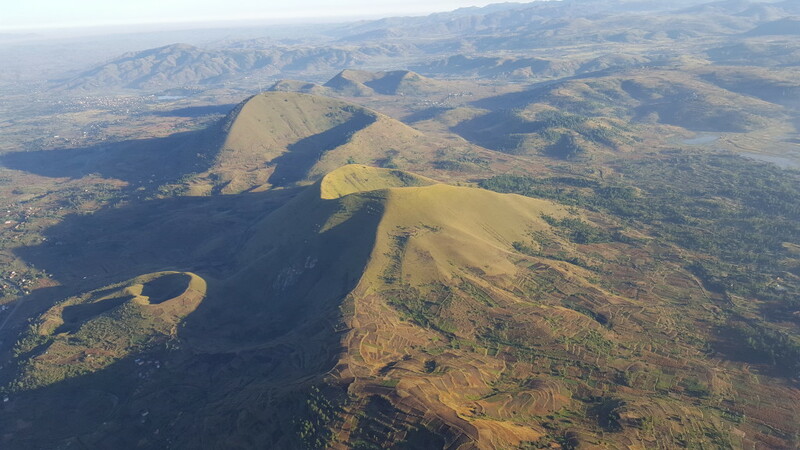 No other place out of Madagascar has this impressive landscape. 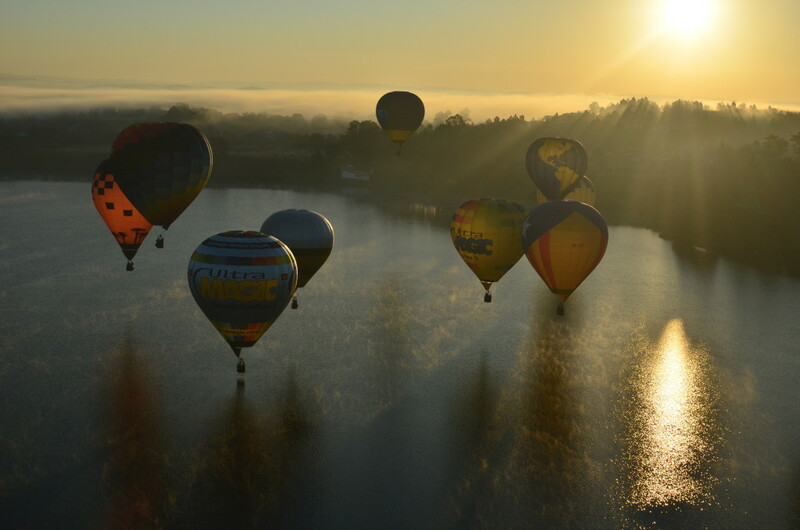 After arrival, we check and prepare all the balloons staying to try. We are 8 teams staying there and the good surprise is that we have tents and a nice dinner prepared by a cook there. We go sleep early because we want to be ready for next day. 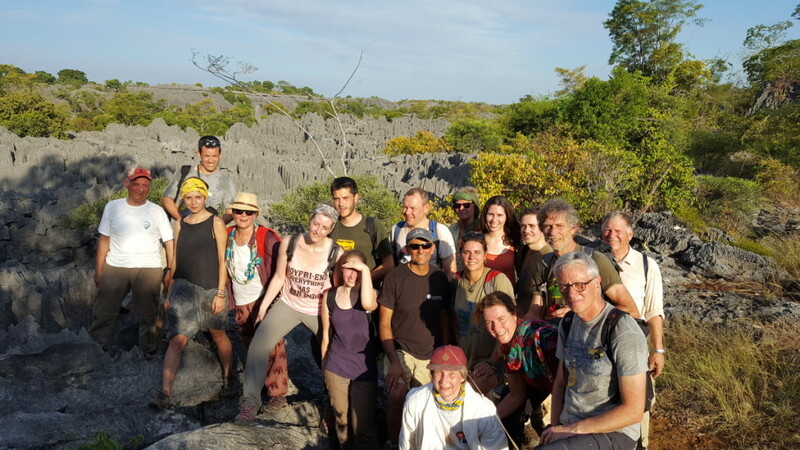 Breakfast at 4 a.m. and departure at 4:30 with all lugagge so we have not to return to hotel when we finish the Flight and then we can continue in the same road to go Tsingy. 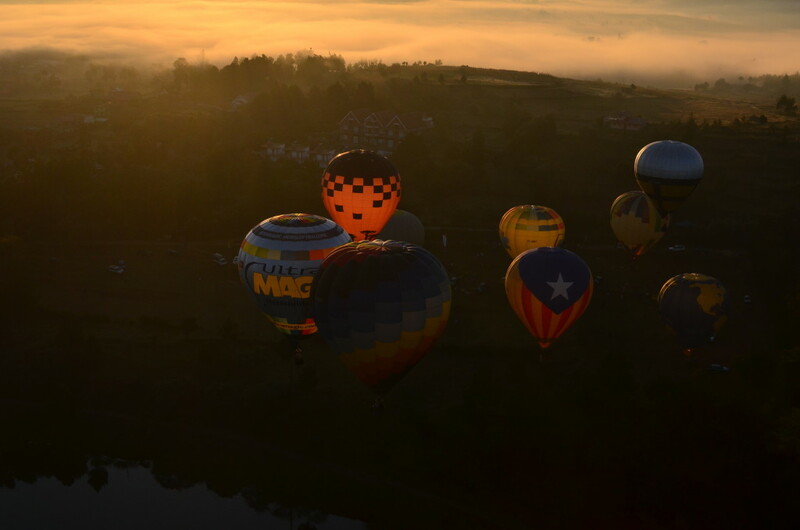 Finally some balloons could take off before sunrise. Wind direction to N-NE at a nice speed. 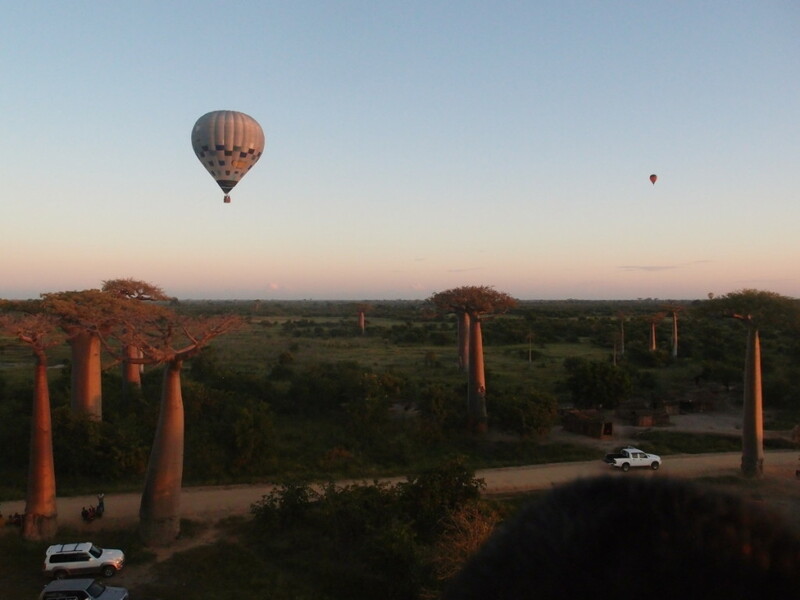 A lot of Baobabs in the area that makes the Flight again unforgetable. We stay low because direction up is the same, but with more speed. 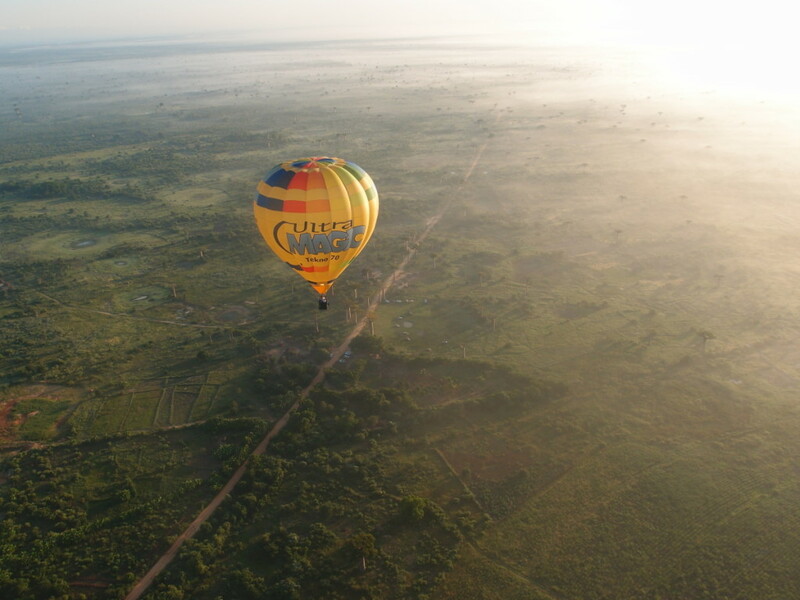 Landing of balloons is spread, and we pass over a very nice field near a lake and a road that after we blame we have not profit. 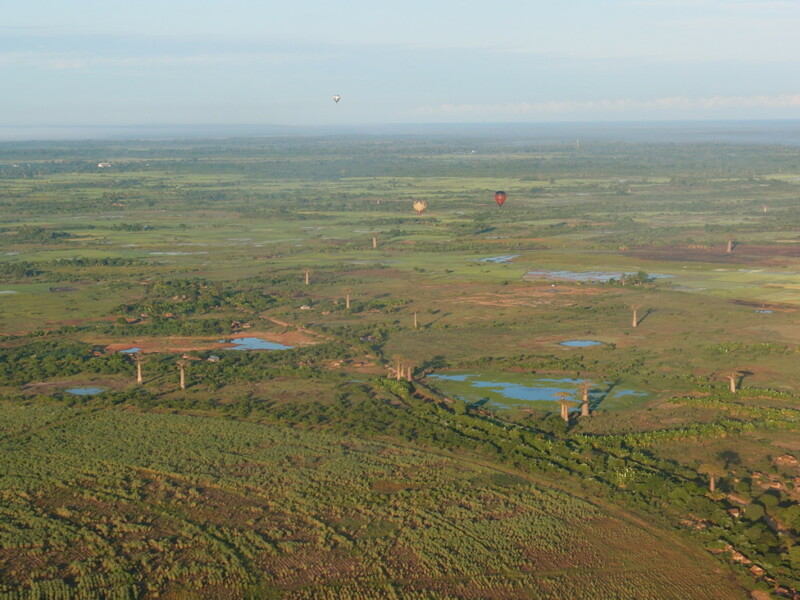 Just a couple km away we have to land and the retrieve takes a couple hours more. It’s a good advise for Tsingy. After refuelling in Baobab Av. We start driving to Bekopaka. 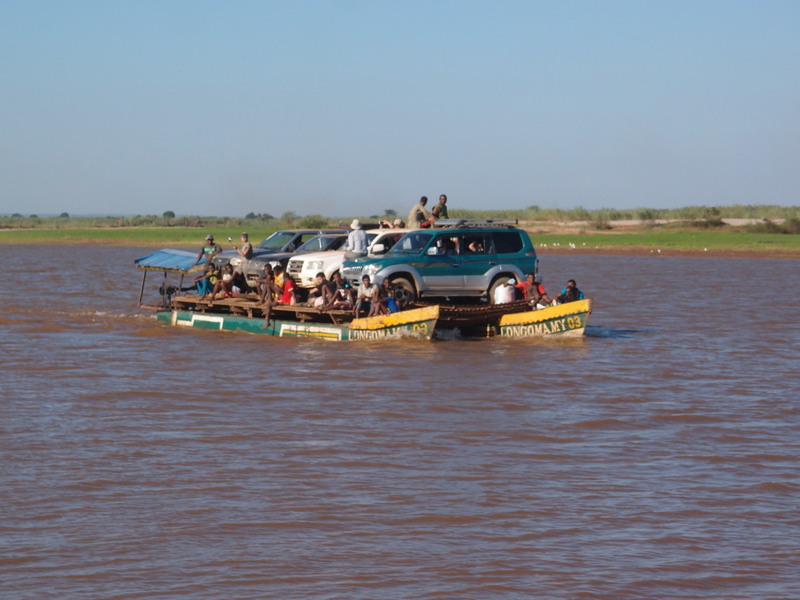 An interesting route with a couple ferries that make the trip very varied and absent minded. We arrive around 9 p.m., we have a nice dinner and ready for next busy day. Anyway the flight wonderful. 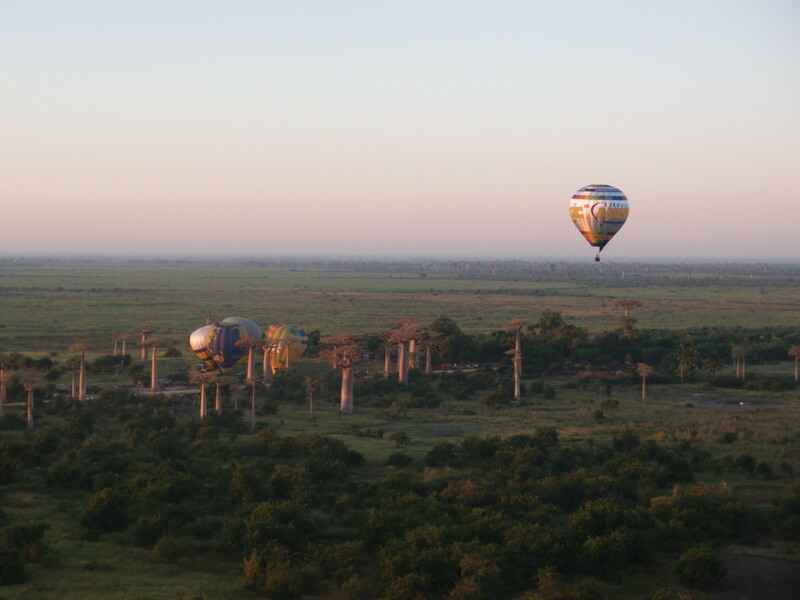 This landscape with the baobabs is incredibly special and we are all very happy to be here to fly. 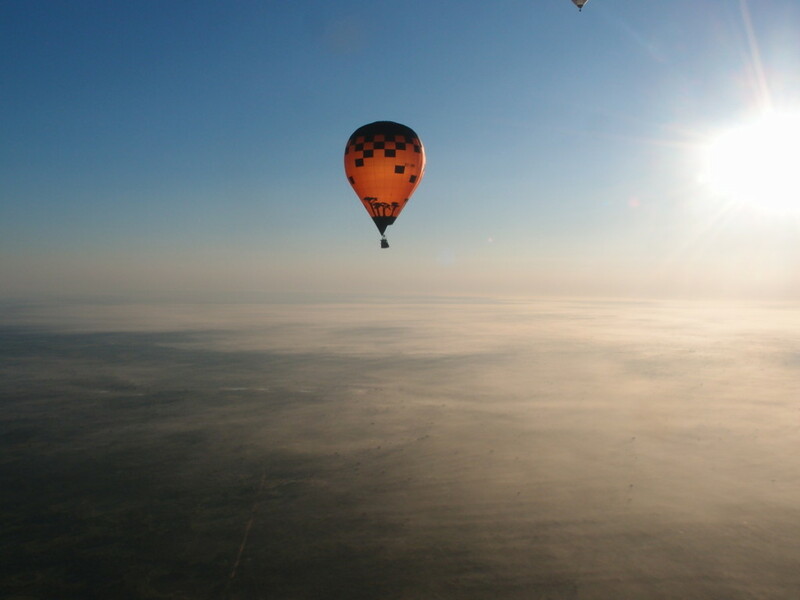 The forecast has not been precise, and we can fly in any direction, so the flight is relatively comfortable. 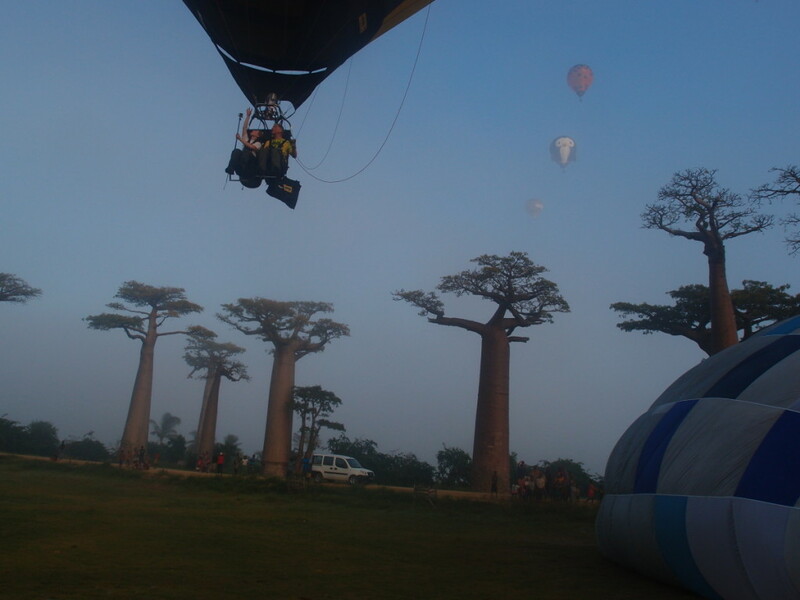 Youngest and oldest participants in the Madagascar Ultramagic Experience have been flying together enjoying both with their particular sensibility. 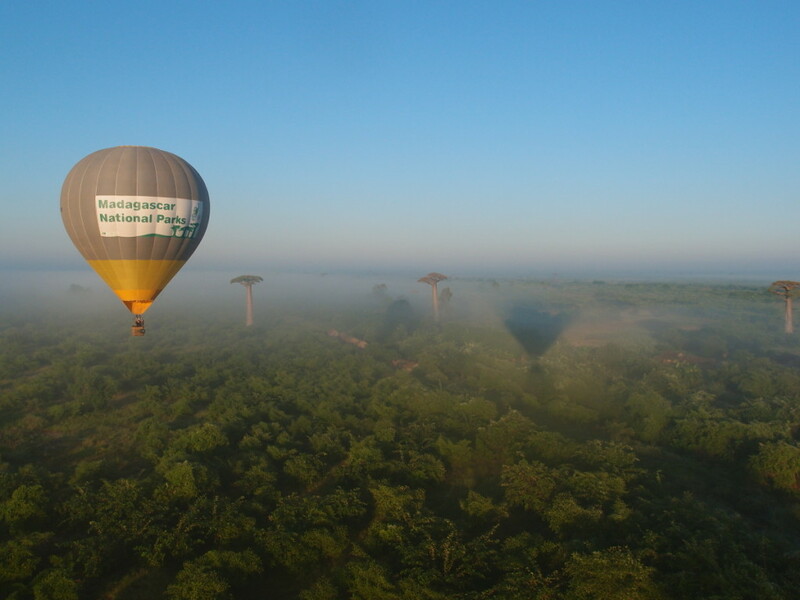 Baobabs coming out of a light fog makes a so special place to fly that we are all astonished. 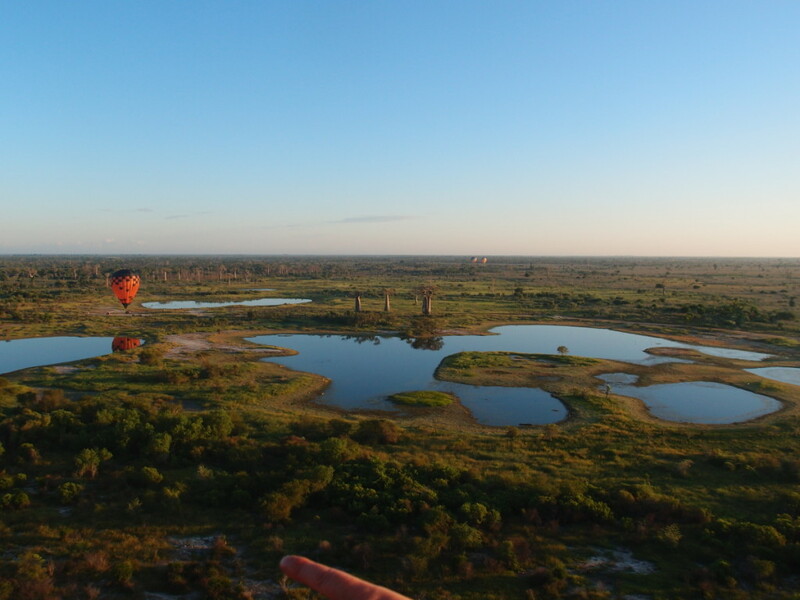 Also the rice fileds, some lakes, palms and villages make the flight unforgettable for all. In the afternoon we have gone to Morondava to see the sunset having a drink in the beach, relaxed. We have taken nice pictures, even sunset was cloudy. A nice dinner and ready again to get up early for tomorrow flight. 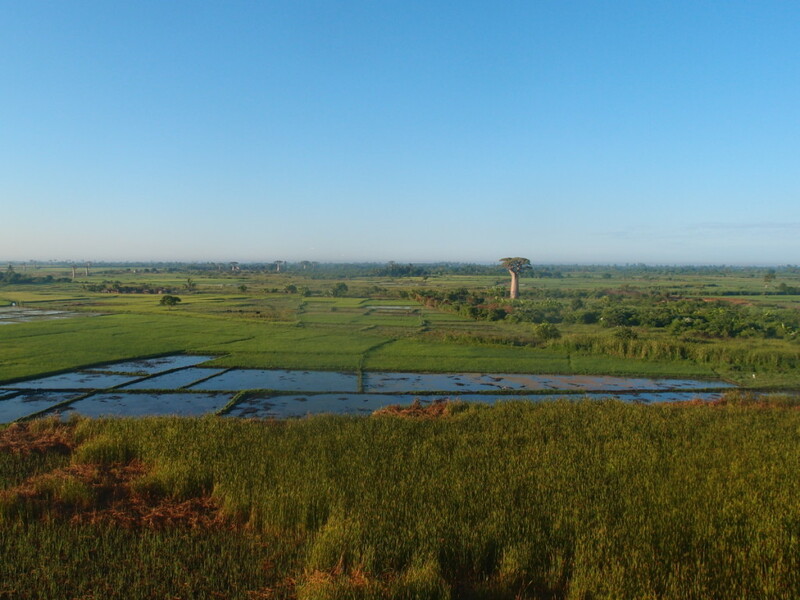 As we know the trip is long, we get up relatively early and we start travelling at 8 a.m.
We can see the beauty of landscape as most of travel is in day light and It changes often. No power lines make them more attractive for the beauty and also for pilots. We stop for lunch at half way, so it has been a pleasant trip even we arrive a little tired after more than 10 hours. Arrival at hotel continues with the same bad road, but is compensated with a nice dinner and some beer before doing the briefing to prepare the flight of next morning. All teams arrived safely even tired for the long trip. 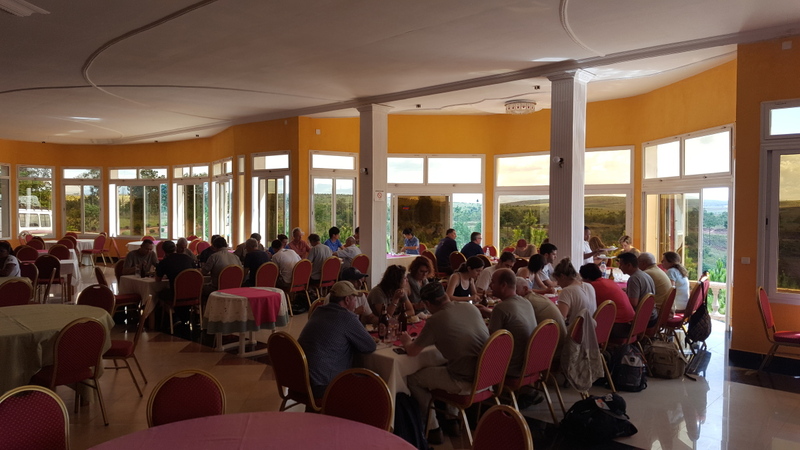 We have slept in the hotel and in this morning again examination to new pilots by Civil Aviation on Madagascar Air Law and Tropical Weather. They passed all the theorical test and have been given a certificate. 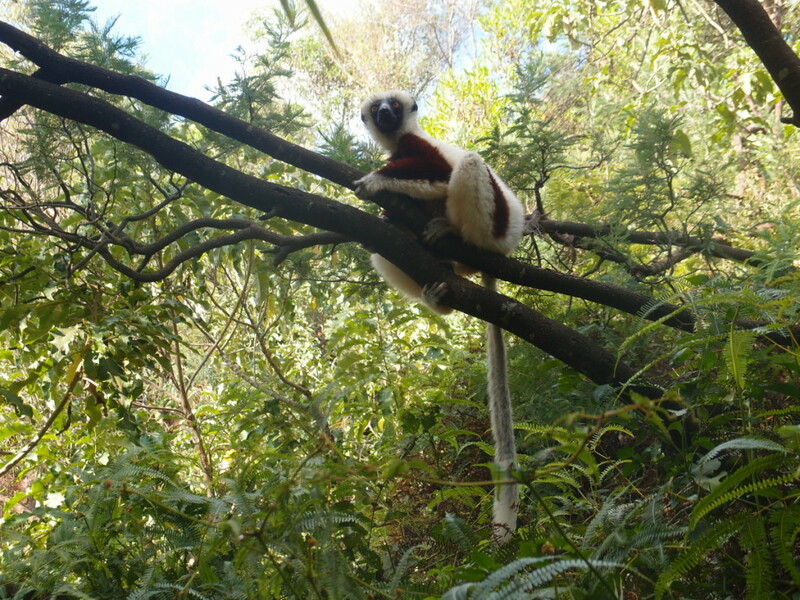 As we enjoyed the Lemur’s Park yesterday, we have gone again today because the travel to Antsirabe is reasonably short and there is time. A good lunch in the way , with arrival to hotel just after sunset, has permitted us a relaxed day. 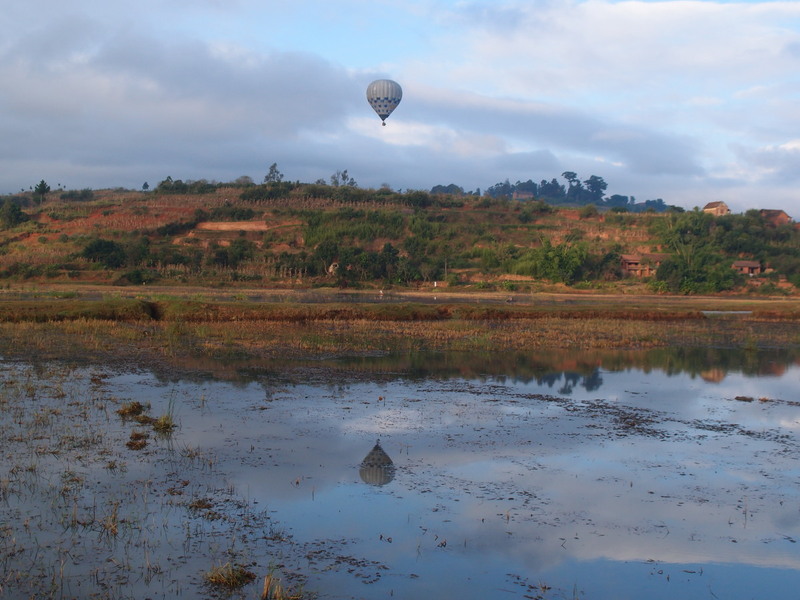 Today we could sleep well in Antsirabe as there is a “short” time to Tana. 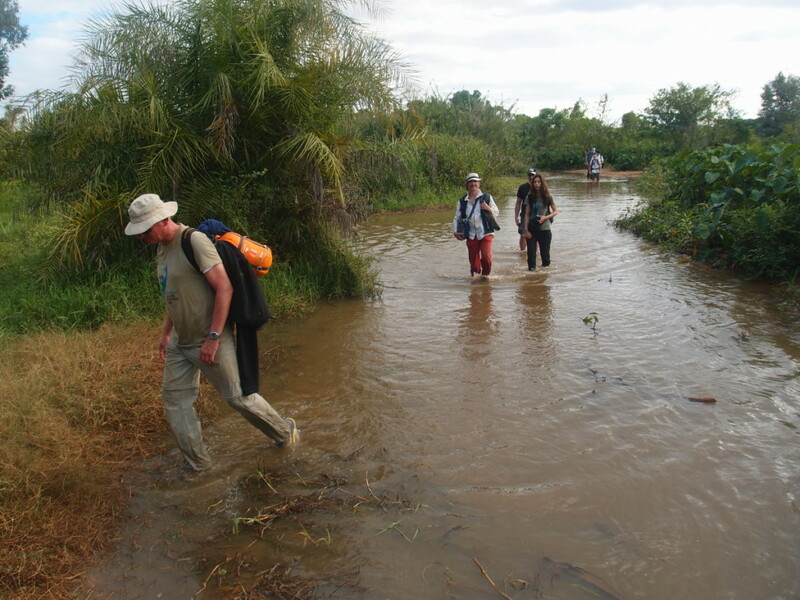 We profit arriving early to go visit the Lemur’s Park just 25 km from Tana. It’s a nice park that even not totally free, the lemurs go around and you can see them quite close. We think is a good option so we can take some close pictures. We made a picture there of all the group. 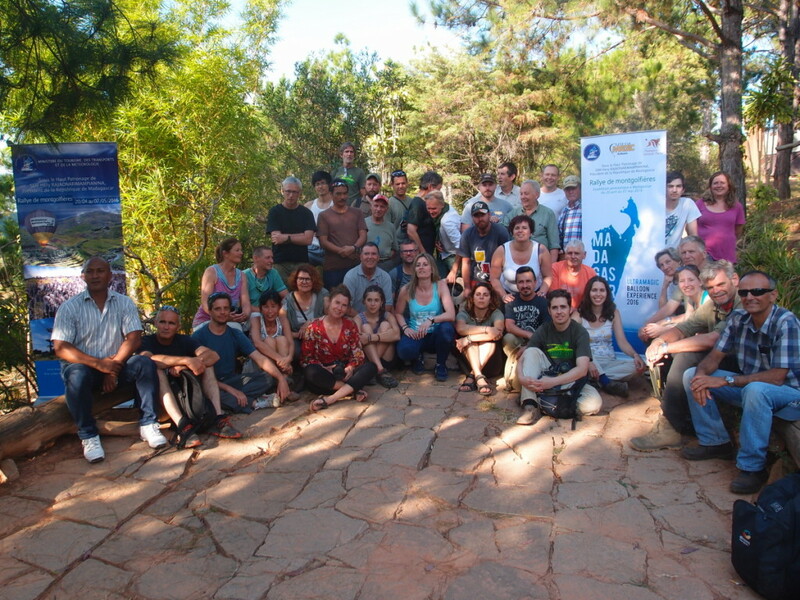 We enjoyed a lot being together and doing 5 wonderful flights in Madagascar. Everybody was very helpful and solving any problem by themselves and helping others. A 100 % satisfaction. We have had dinner in same hotel that they arrived the first night and that the second group will be lodging tonight. Farewell in the airport and ready for the new challenges for the second group. 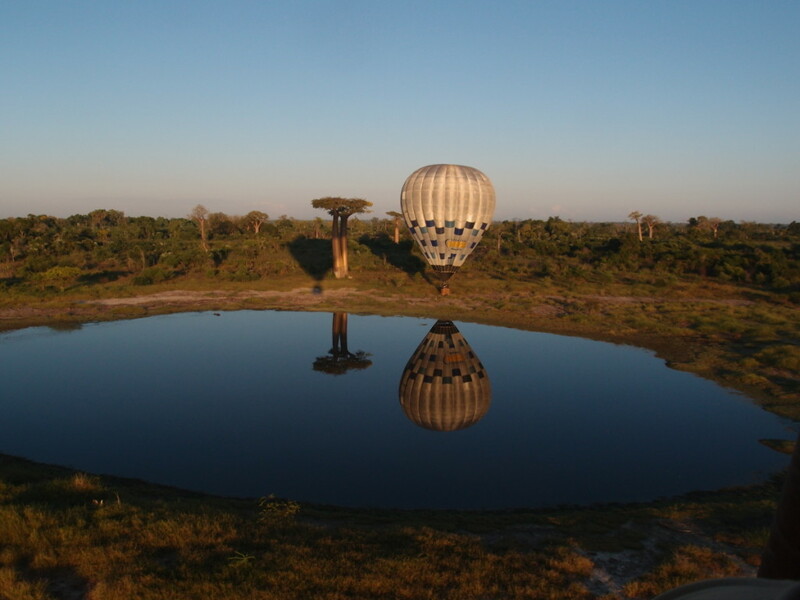 As we knew the area, we thought could be nice to take off just before sunrise… We got up very early, at 4 a.m. so we had enough time, but takes time to prepare all and was late when we left for the site. Anyway, wind was nice to the North and we probably relaxed a little bit. Low fog after taking off and some speed to the North. Landscape of course again exceptional so we could fully enjoy it . 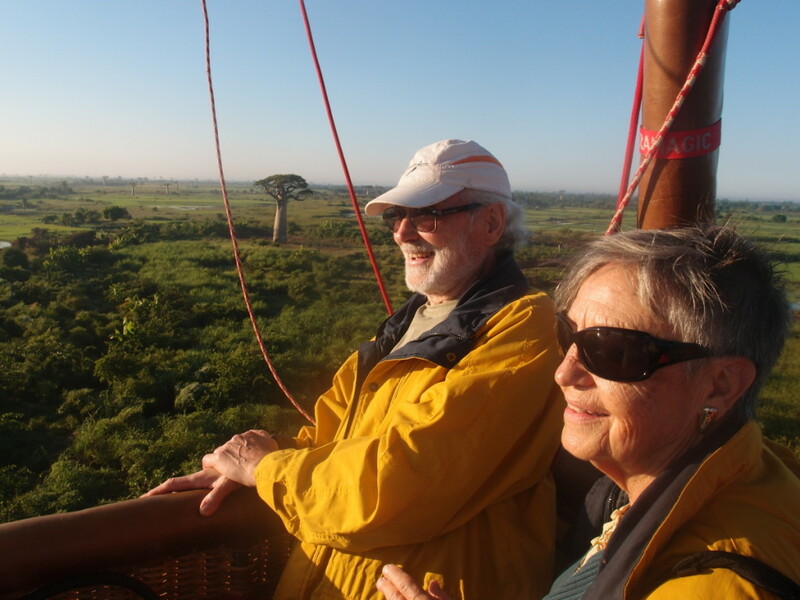 When we were descending, the speed was about 12 knots near the fog, I was a little worried to not find a Baobab in the way. 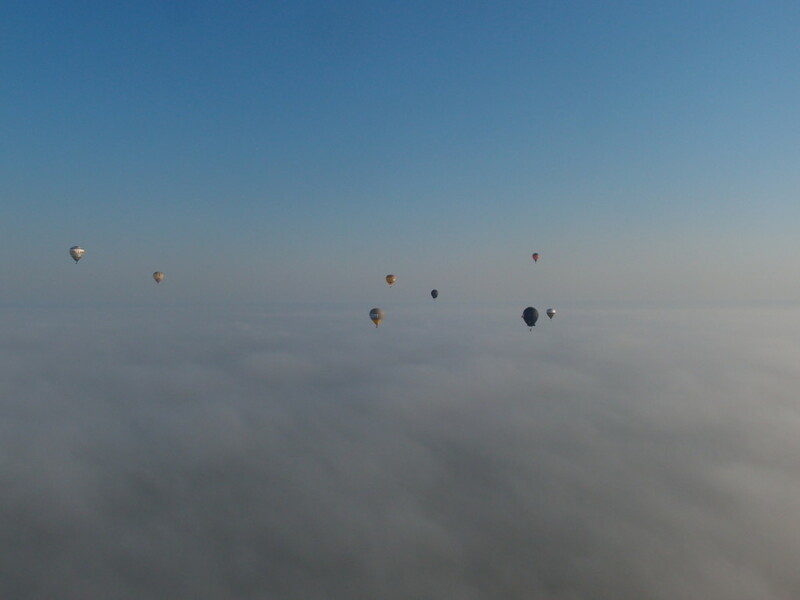 Fortunately the fog was a little high and even you could see the ground, was difficult to see in front and the distance to ground. 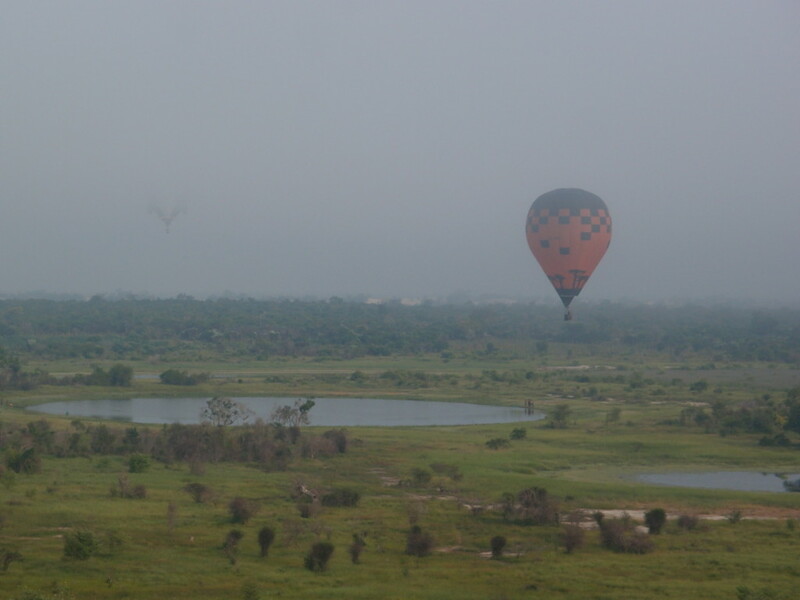 After passing the fog layer, that it was high enough, we checked for a track and seeing other two balloons ready for landing we took same decision near a nice lake. 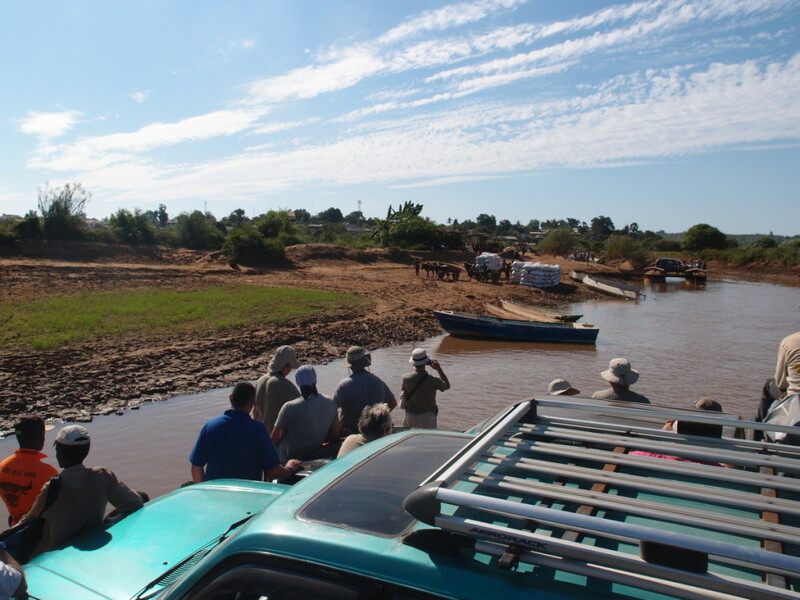 All retrieves were more complicated than other days, and it made us the travel to Antsirave to arrive late including the caravan with soldiers to pass an area not too safe. 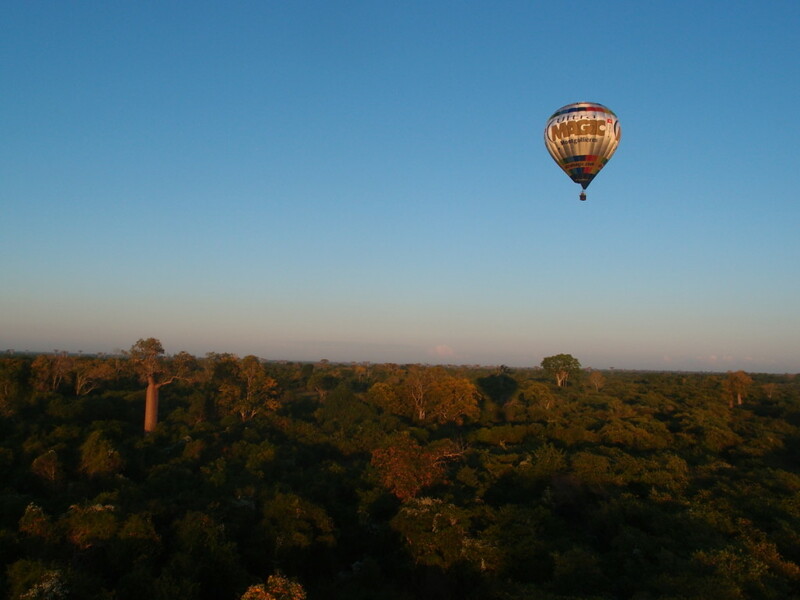 After doing a nice Flight yesterday, we plan to arrive early back to Morondava. We need to fill some gaz for next morning and we decided to make 3 groups so the return is scaled and not to have to wait too much in the Ferries and also in the mud areas. Anyway starting to move between 6 a.m. and 7:30, we arrived the last group around 7 p.m., but again with a nice lunch on the way. 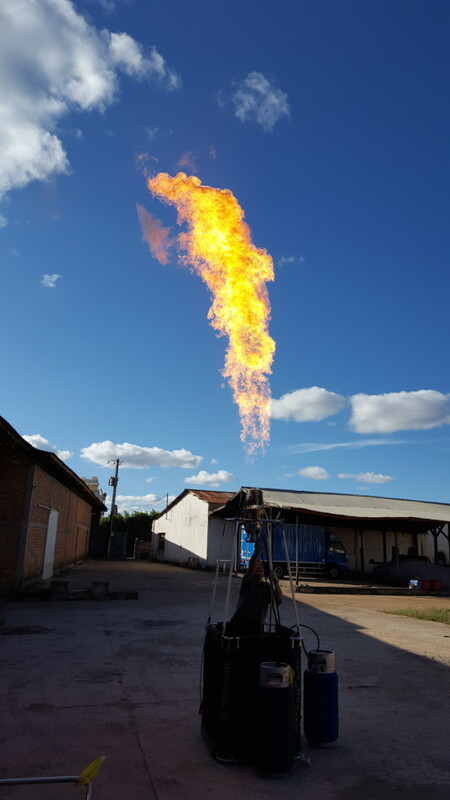 We have prepared all the gaz for next morning Flight and now a good dinner and to be ready for the last Flight with the group 1. We get up early in the morning and first thing is to check if the truck arrived. Fortunately the second truck was sent , arrived at 3 a.m. even it coul;d not take all the equipment because it was smaller. Anyway helium was there and we could dropa balloopnb and Stefan told us about the different layers, so it was possible to return to the launch field or nearby. This cheer up everybody to fly as it is a complicated area. 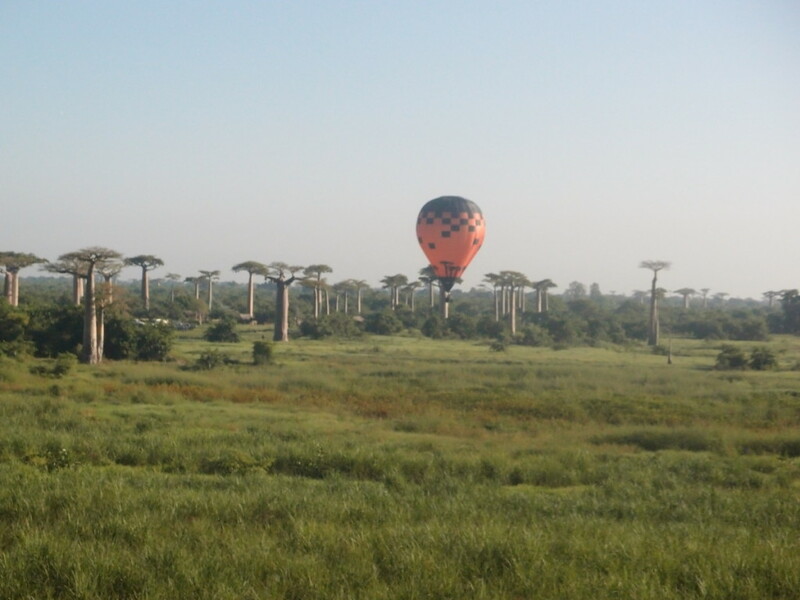 So we took off from the football field and at about 400 m we were heading to East to approach the Petit Tsingy. 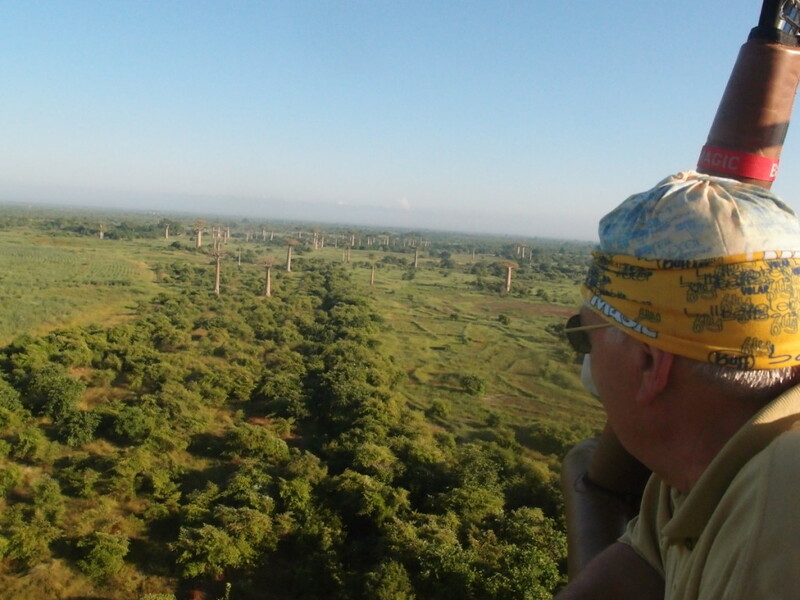 The landscape was very nice and we could see the gorge of the river that was some km East. 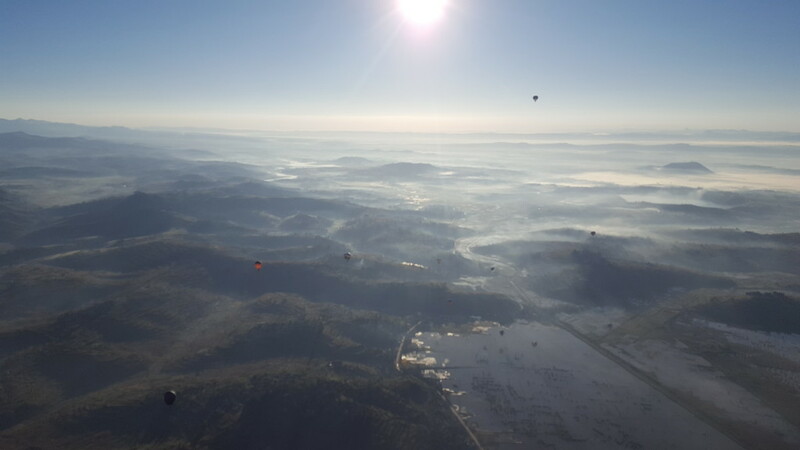 The flight was challenging because very few roads, but 9 balloons managed to come back to the launch field after one hour flight. 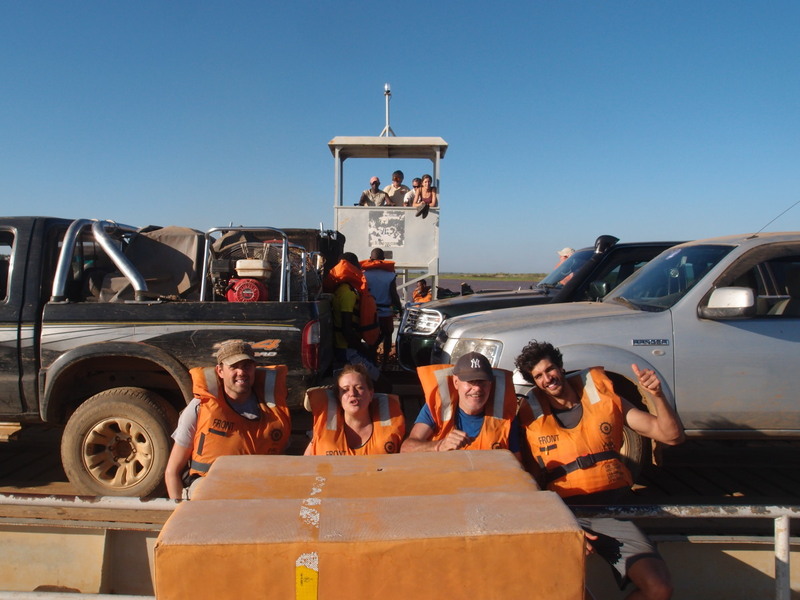 We were all satisfied of the flight as we had lots of numbers in the lottery that the truck could not arrive. 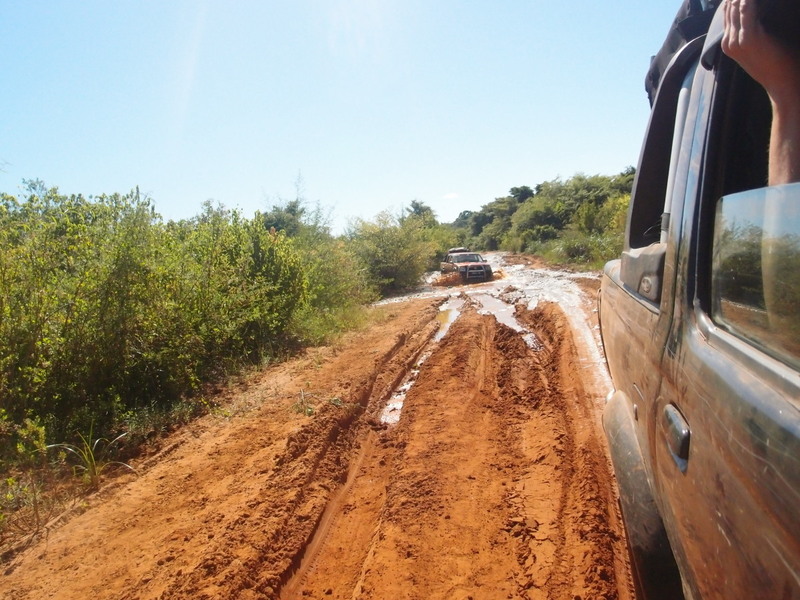 Our truck is still stocked in the mud and hope it can be soon out of it, but as the truck cannot go around the muddy areas because it is too big, for the moment is there. 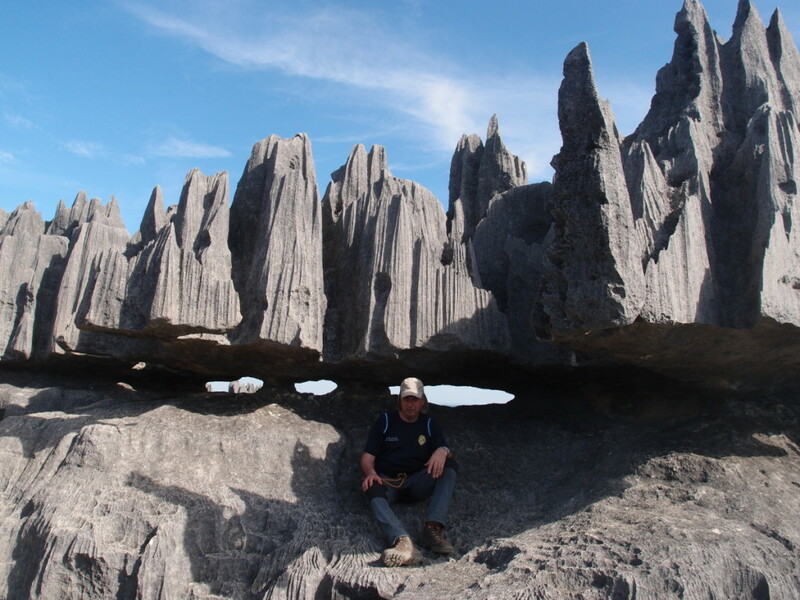 We could well relax and in the afternoon we went for a visit to the Little Tsingy. All we enjoyed as it is a very spectacular and unique landscape. It had to be a relax day. 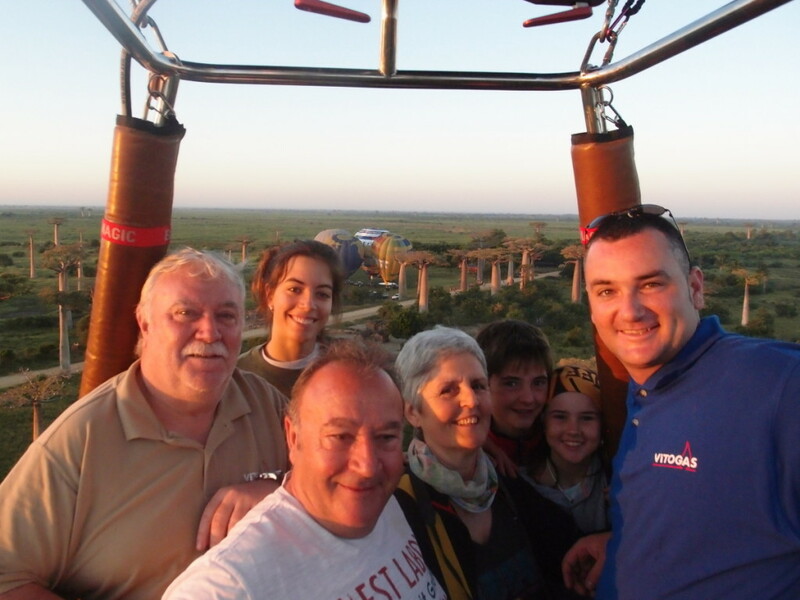 We have had breakfast around 8 a.m. to be ready to go to Grand Tsingy at 9 a.m. to make the visit there and have a look to find good spots to Take off and landing. 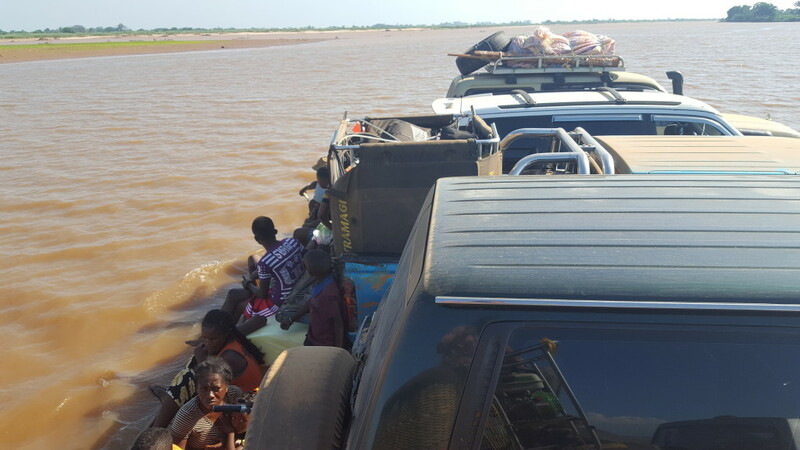 After a couple of hours waiting to have the guides, we started to move with some difficulties because some drivers were putting troubles to come there. 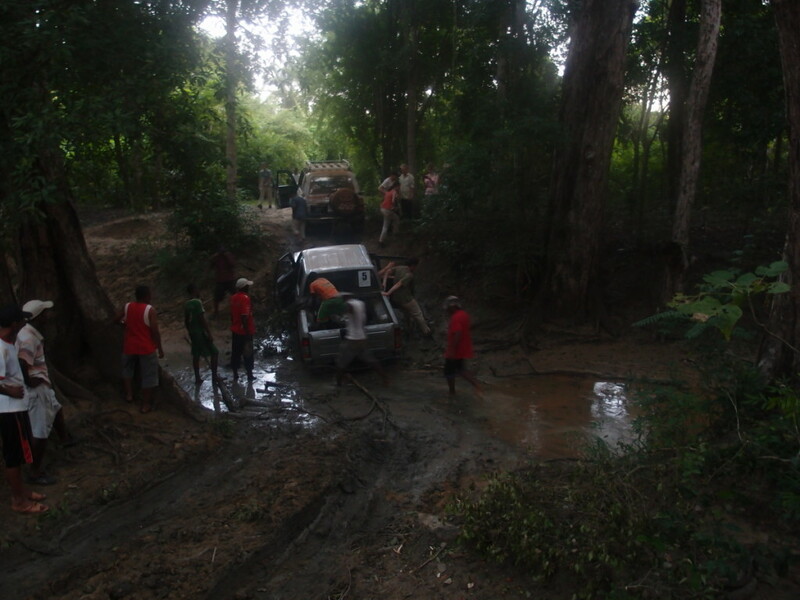 The road is really bad and at the first difficulty, and get stocked in the mud, some teams decided to go for a good rest and go back to hotel. The rest we continued with a lot of stops because some 4×4 cars and drivers were not good enough and were getting stocked quite often. The last 2 km to the entrance of the park we went walking under a quite shining sun. So we arrived too late to make the full circuit, but we had the possibility to have a look at this wonderful and incredible landscape . We learned a lot and was quite useful to know what is possible to do or not. In the meantime the truck that did not arrived the day before, was stocked when coming with the gas, fans, some envelope and the helium. Vincent was taking care and wew were sure he find a solution for tomorrow we can fly. 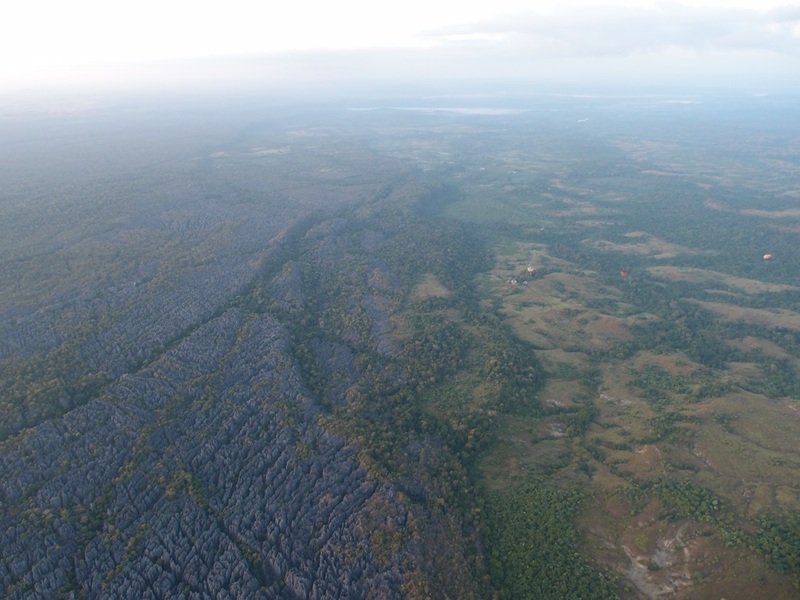 So the decision was clear to Take off next day from Bekopaka to try to approach the “Samll Tsingy” if the wind conditions were helping and the truck arrives. Today we could arrive earlier at the take of site. The place is so nice that it was worth again. 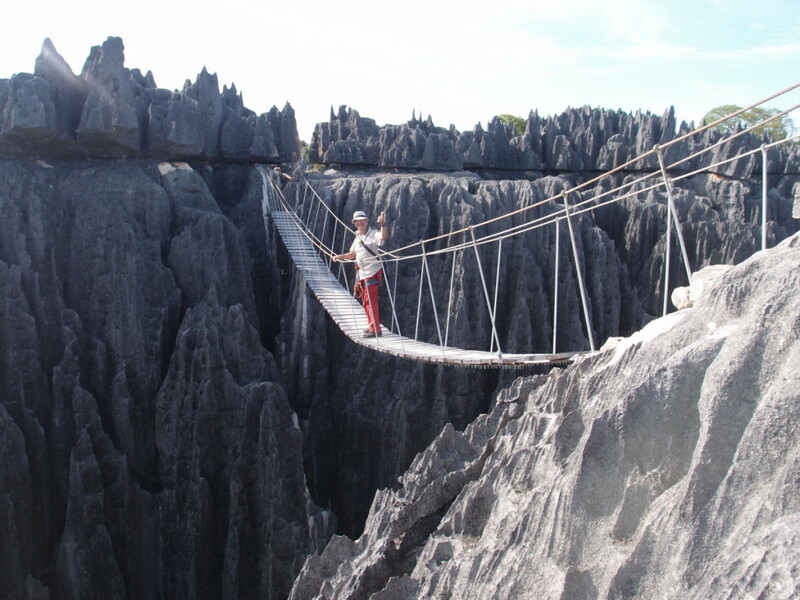 Also as it is in the way to Tsingy we decided to have early breakfast and take all the luggage with us. We all took off at the same time and we could take very nice pictures. Thre idea was to return to take off site after the Flight as soon as possible, so some landed there having done a perfect elbow. 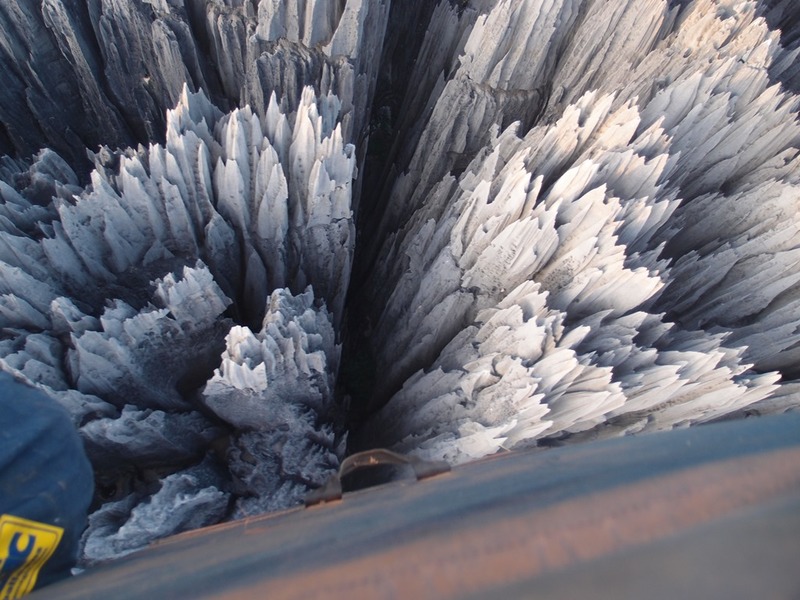 All pilots leave there the cylinders and started travelling to Tsingy as soon as possible. 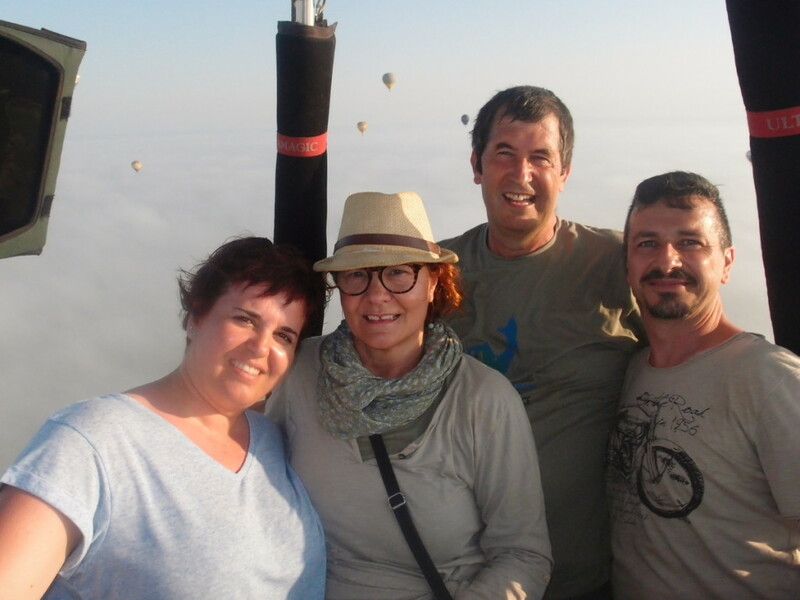 Jaume, Joan and myself flew together again in Africa and we were very happy we could do once more in this so beaiutiful landscape. 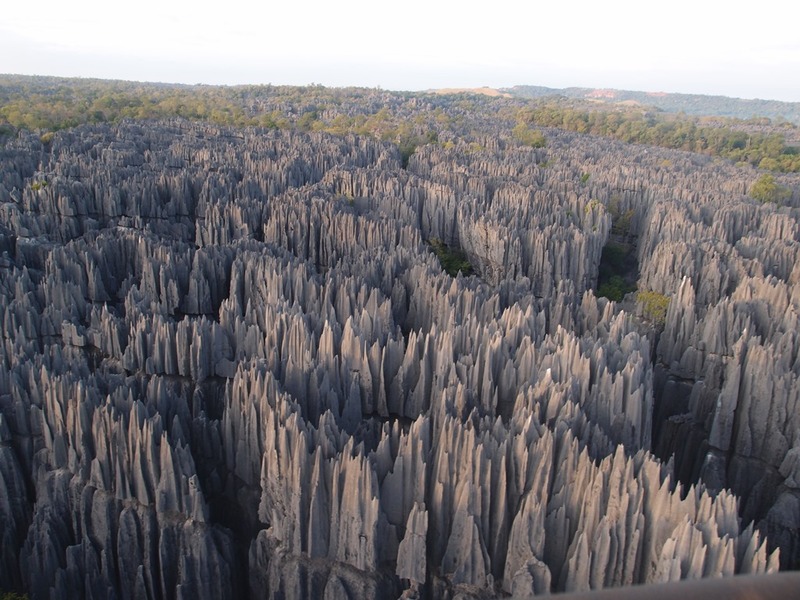 The way to Tsingy has been a small adventure with some cars stocked in the mud, so we arrived around 9 p.m.
Night was short but it was worth to get up early again. Breakfast later than ordered and truck with fans and some balloons just arrived 6:30. So Take off was finnally at 7:15. 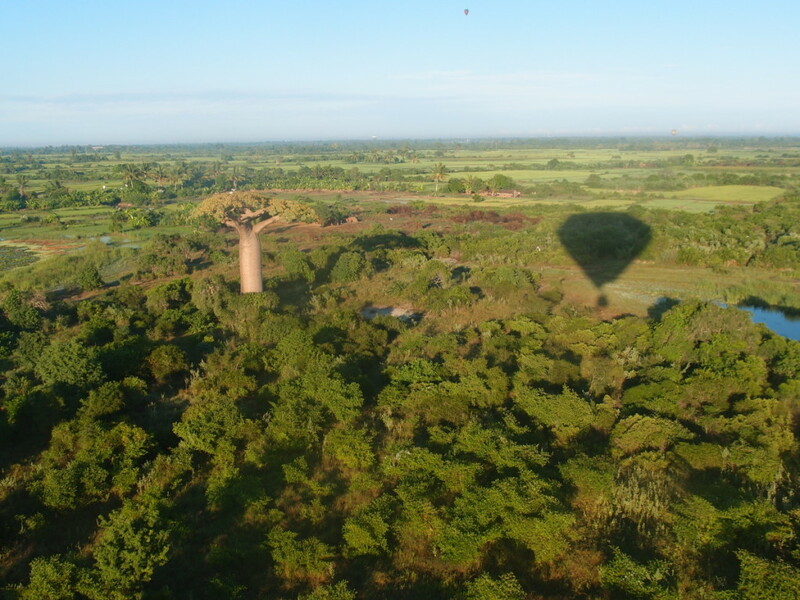 Wind layers were very good so several pilots were able to return to field and continue for a nice Flight over the baobabs till the road of the hotel. 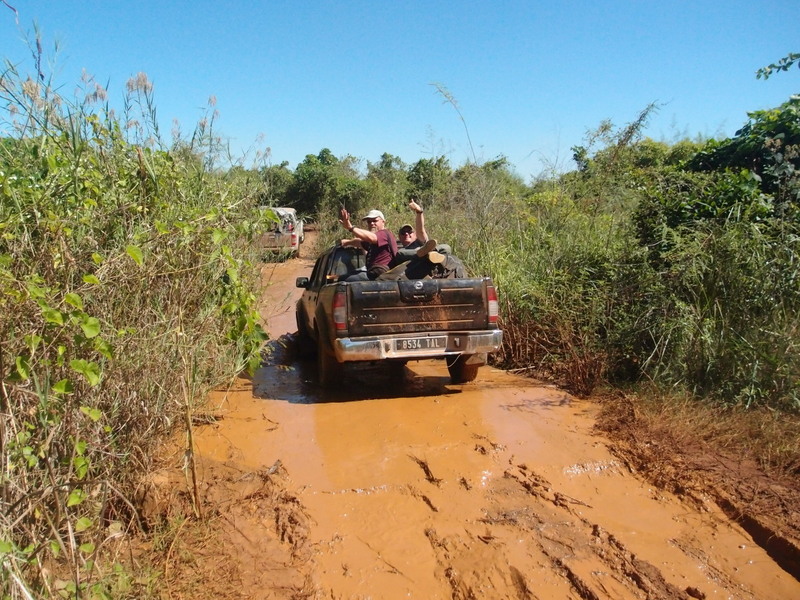 It was good also because arrival road to hotel needs some repair and everybody liked the idea. 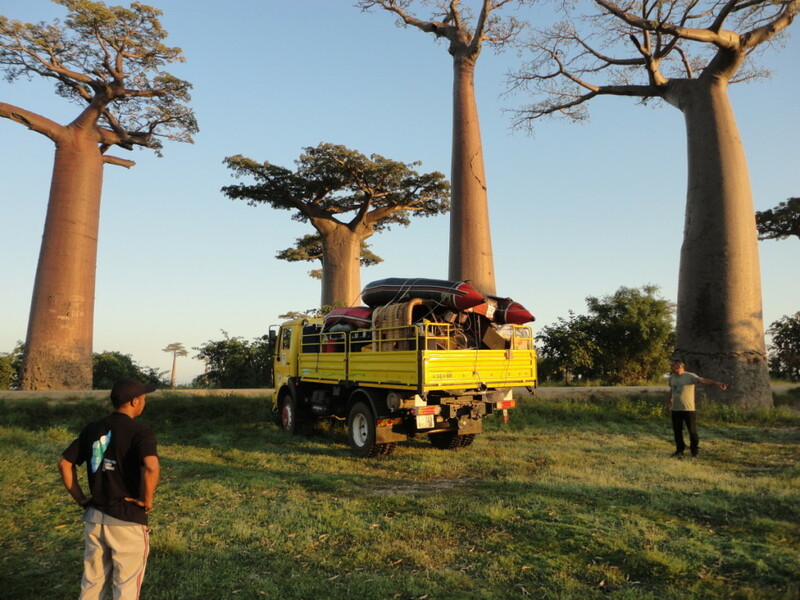 The Baobab Avenue is one of the top symbols of Madagascar and it is very much reasonable when you arrive there. 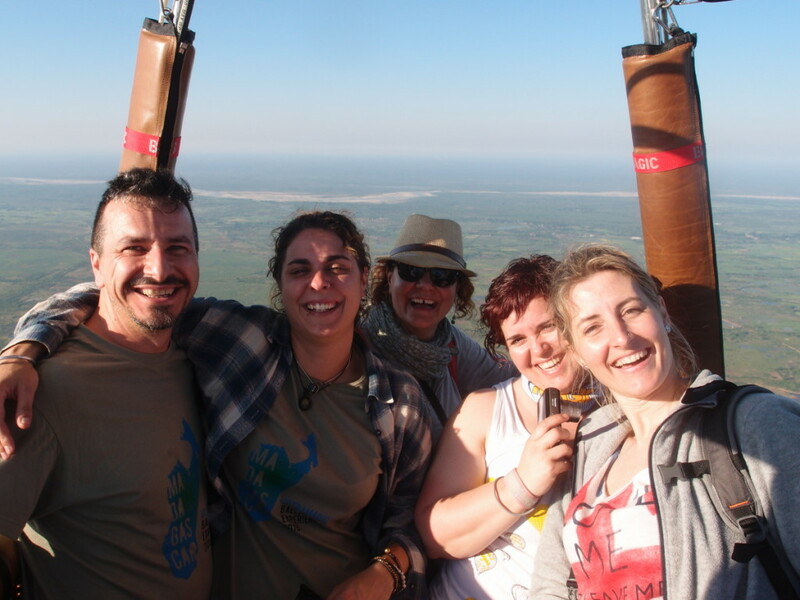 Today we had the opportunity to fly Joan, Maricarmen and Monica from the factory, so it was a very special flight after 20 years working in Ultramagic. 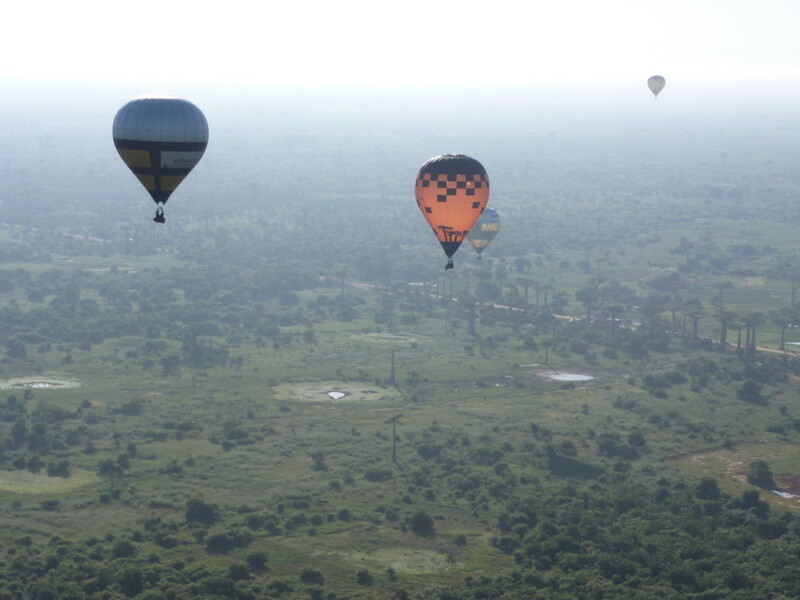 Here some pictures of the flight, but everybody has some anmazing one’s. 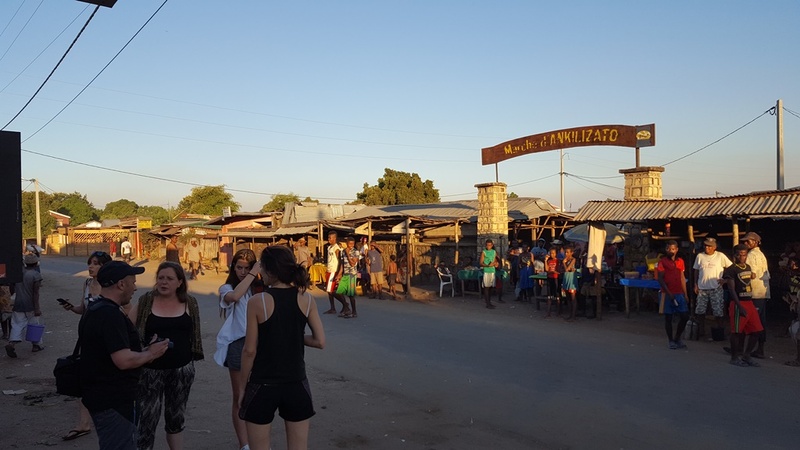 After breakfast and refueling we had time to relax and go the afternoon to Morondava. 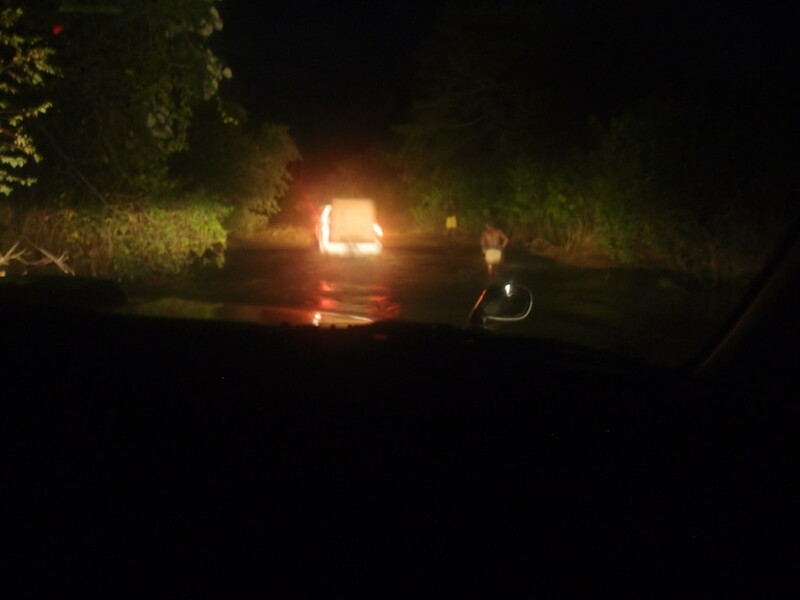 This morning after coffee at 4:30 a.m. we decided to follow the forecast and go the theTO site in the lake Andraikiba. Nice place with a big take off field and thinking we could take already there nice pictures. 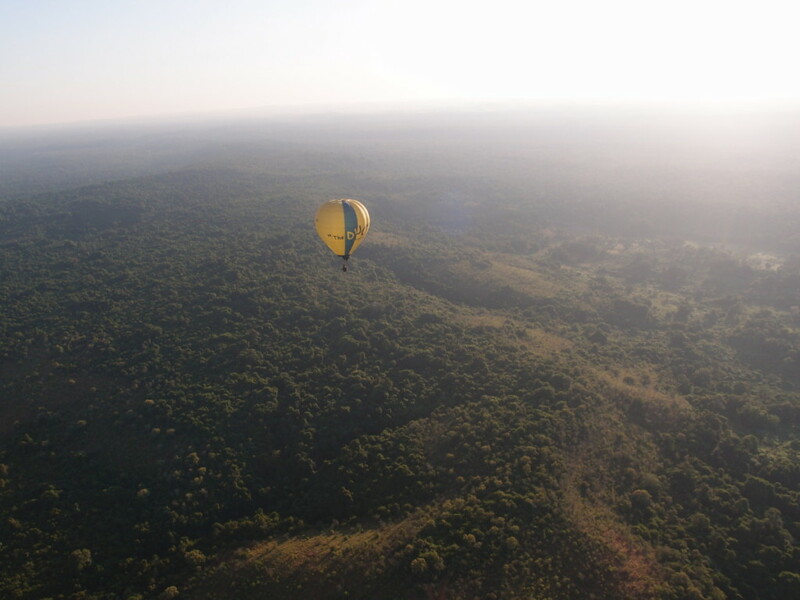 Flight was much better than expected as we had winds up to 20 km per hour not too high and in the good direction. 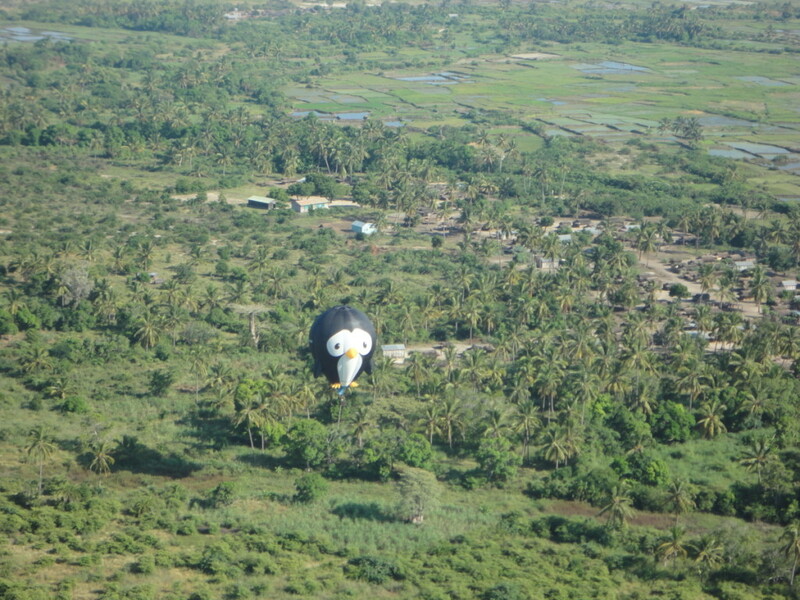 Wind was following approximately the main road, so we could do a wonderful flight without trouble in the retrieves, even we had some to talk to farmers to carry out of the field the balloon because near the road, does not mean that the car arrives to the field. 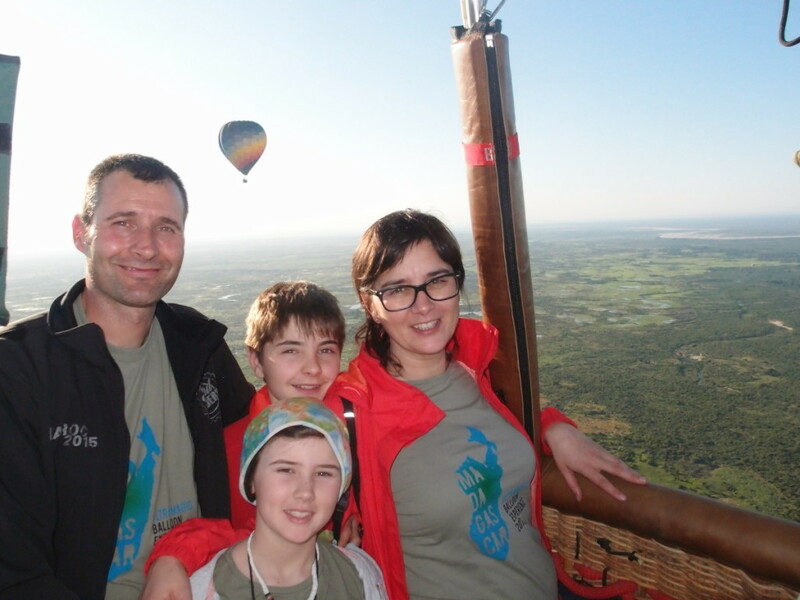 Pictures I hope make justice to the flight as we were all very satisfied. Here are some of them, but for sure there are a lot that will make all think we were lucky to be there. 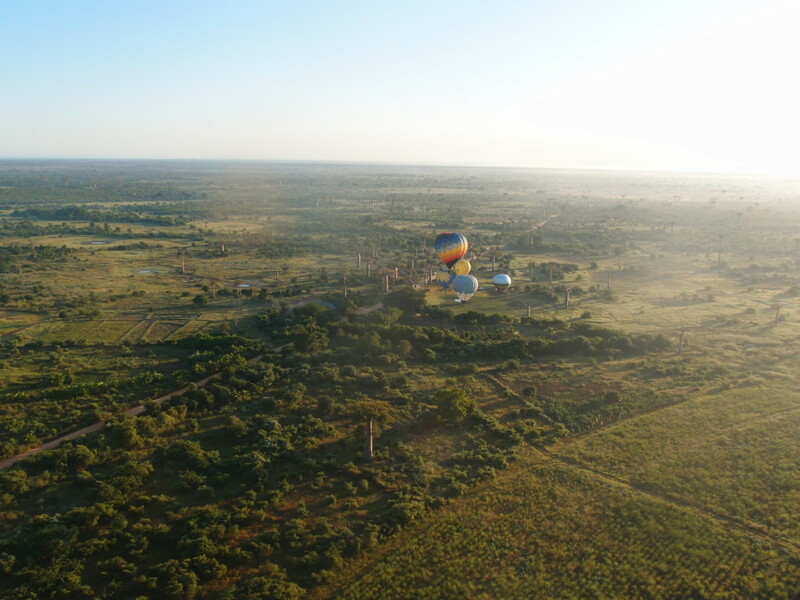 As the program was tight , we could just refuel 8 balloons, and then after a nice breakfast and a picture of all the team, we left for Morondava. 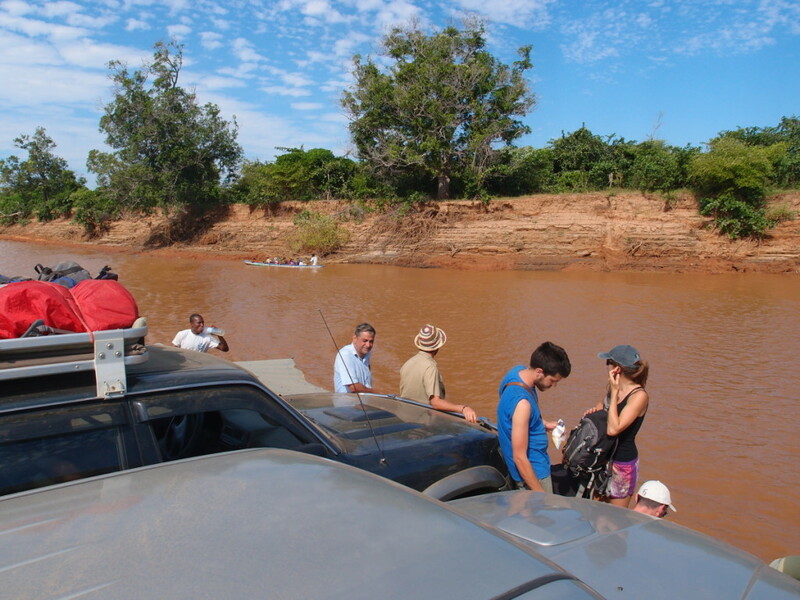 10 hours with a nice landscape, but all happy that the Madagascar Ultramagic Experience started well. After so much months waiting for this, we are all happy. 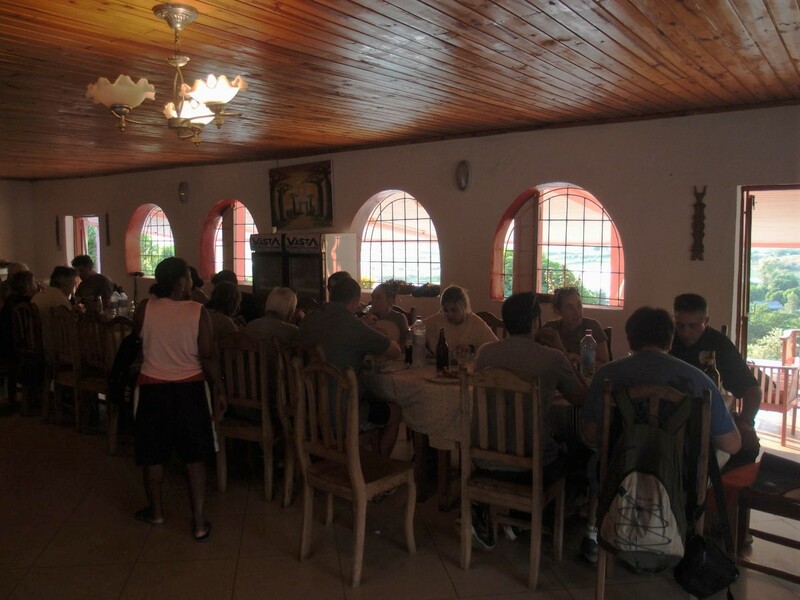 We arrived quite late to Morondava, but we have had a nice dinner all together. 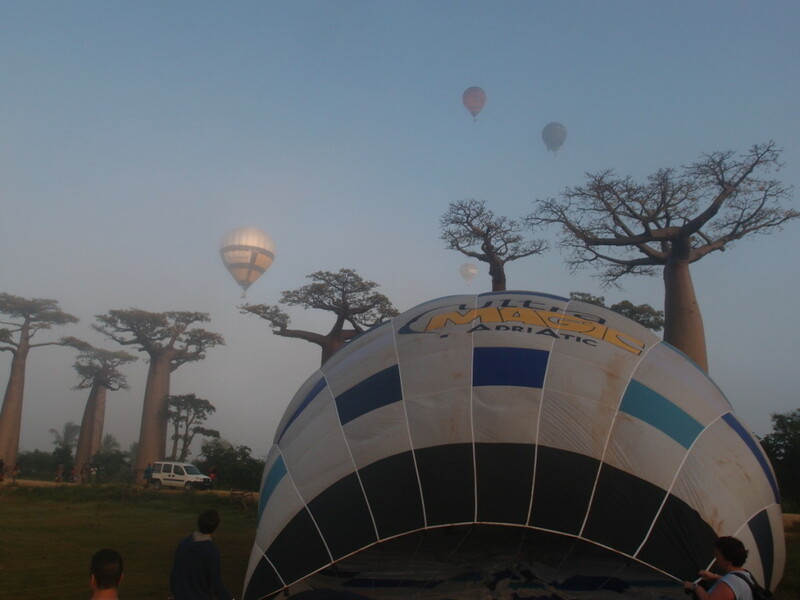 Now sleep for a few hours and let-s try for the Baobab Avenue. 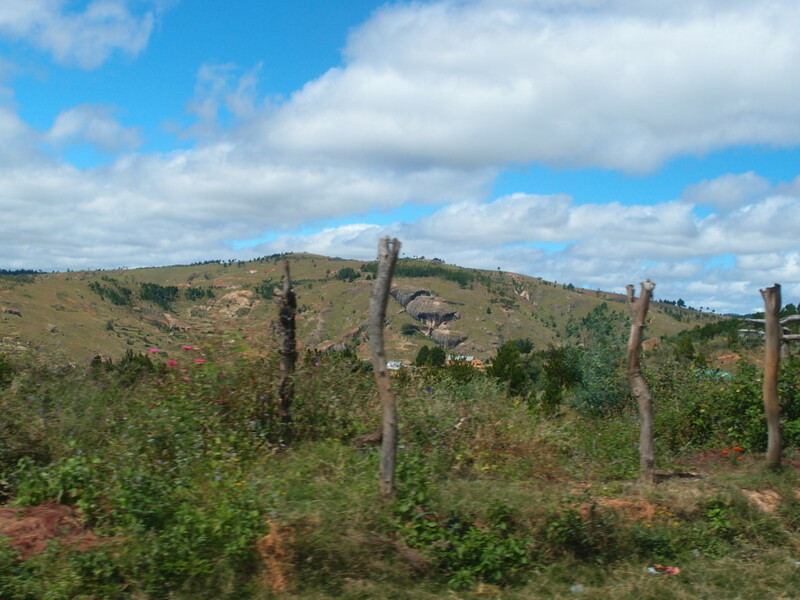 The totem landscape of Madagascar. 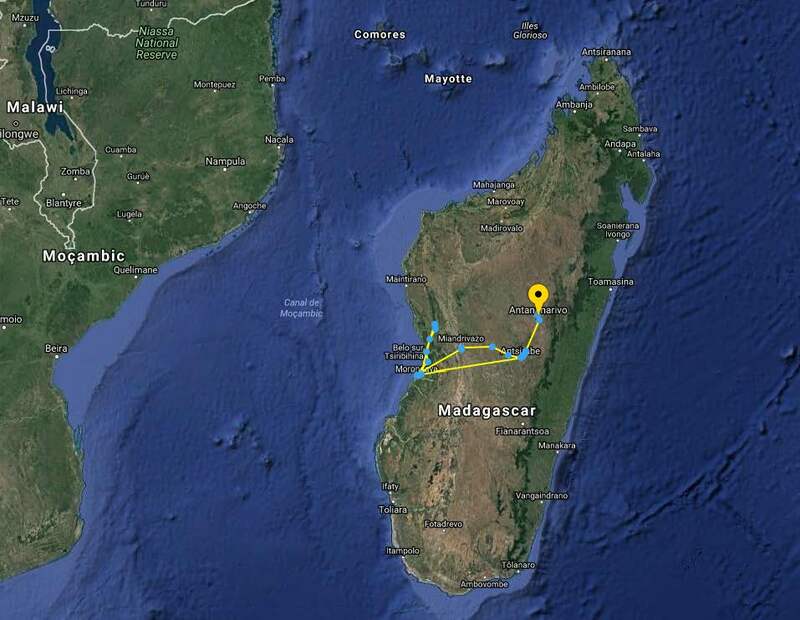 We are all excited that tomorrow we hope we can do the first flight in Madagascar. 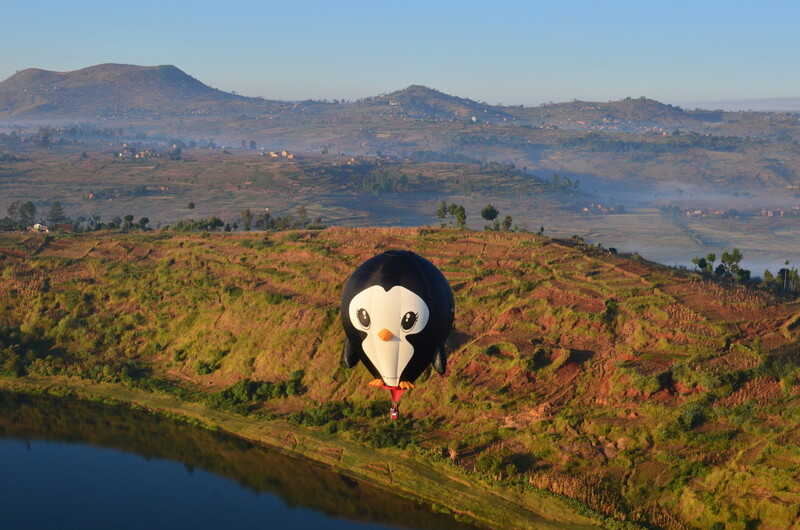 But before that, this morning all pilots had to pass an examination of Madagascar Air Law and Tropical Weather. All went well, even we were all tired because all pilots arrived from their homes the day before after a long trip. 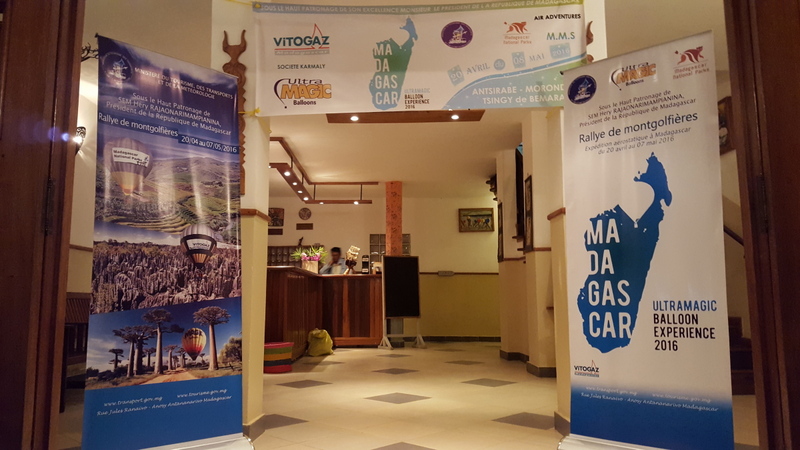 Including a delay to get the luggage due to some technical, we arrived at the hotel after 2 a.m. A welcome with the banners used for the Press Conference in Tana were at the entrance of the hotel. 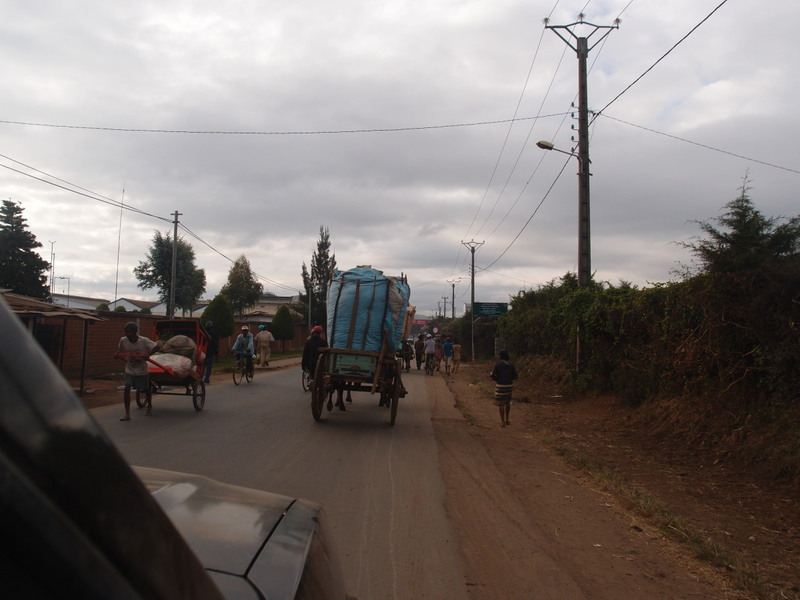 So we started our trip to Antsirabe. Landscape is nice and interesting from the start to get out of the capital. It takes a lot of time because of traffic and high extended population, but with the buses , we were comfortable. Stop for lunch half way and taste of “foie gras” and magre de canard helped us to continue the road. All pilots looking at the landscape and searching for landing spots and tracks for the recovery while admiring the beauty af the area. A technical stop to buy some peanuts and apples made it shorter the trip. 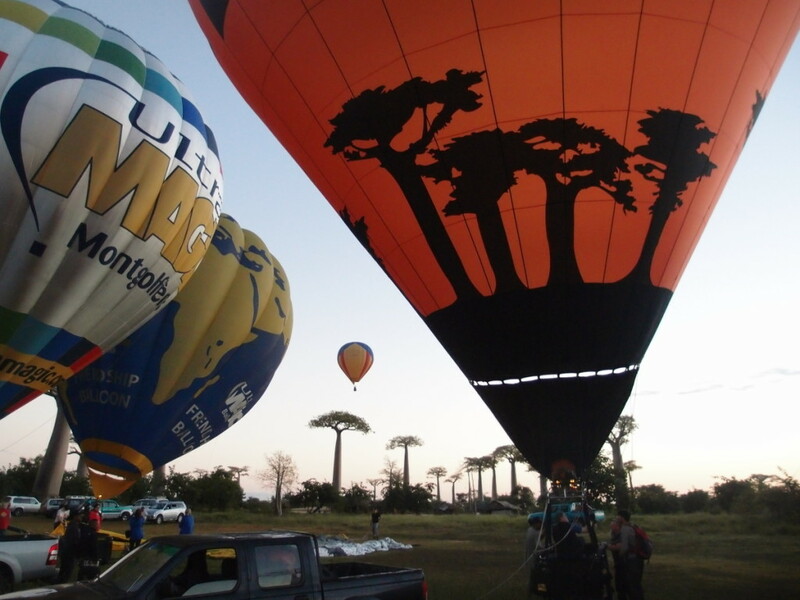 After arrival and having the rooms at hotel, we have gone to prepare the balloons. With a little bit confusion on the cylinders and equipments, after a couple hours we manage to have all loaded in 10 pick ups and a big truck. Evening dinner at the hotel has been quiet and we have made a briefing with some information for tomorrow. Wind forecast is for a slow winds from the East early morning, but we will get up at 4 a.m. to see how accurate are the web pages we check. 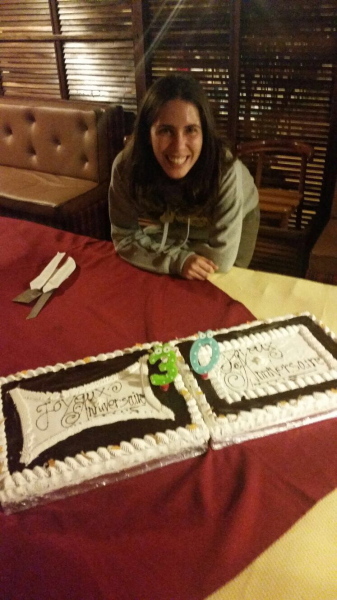 We celabrated also the 30th anniversary of Neus with a delicious big cake. 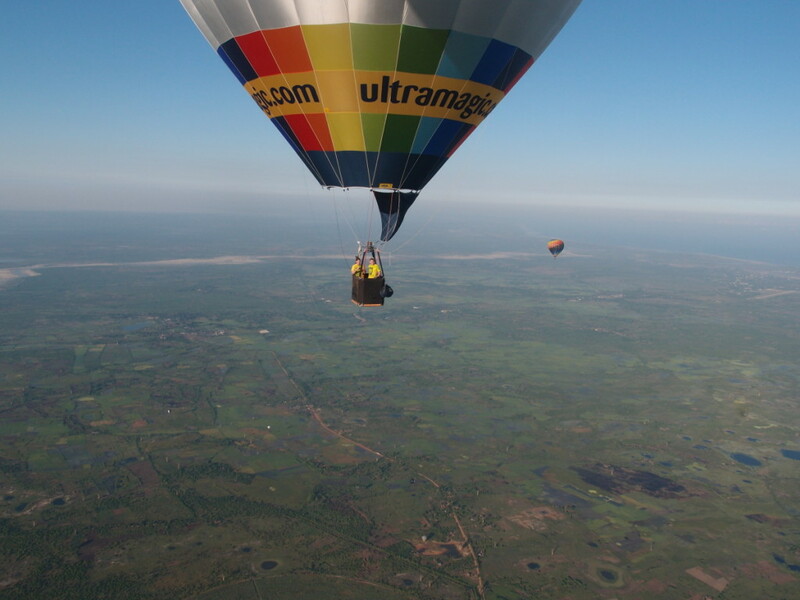 Soon will be arriving one group of balloon teams to participate in the MADAGASCAR Ultramagic Balloon Experience. We are sure will be an incredible experience in this wonderful country very unknown for most of us. 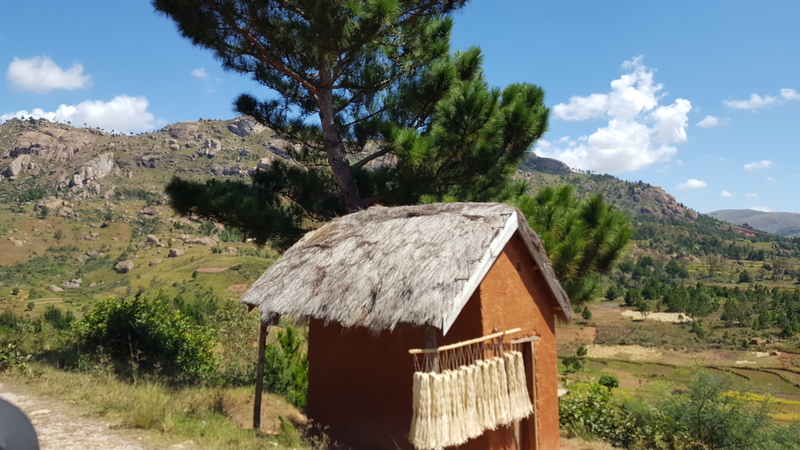 Now finishing with the preparation, thanks to Hans Rambelomanana and Vincent Dupuis, all is being orgainzed in detail also with the cooperation of the Authorities of Madagascar who are helping to what we are sure will be a succesful event. 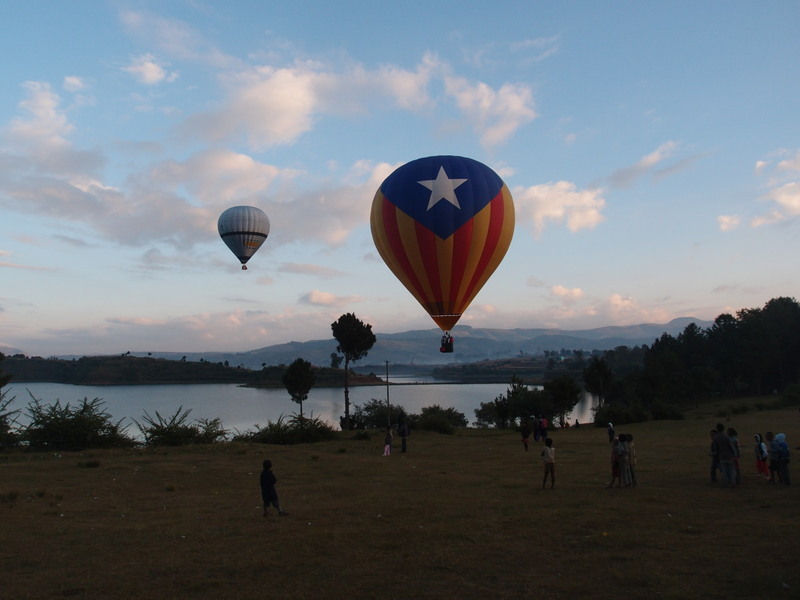 Yesterday we had several meetings with the Authorities to coordinate the Balloon flights and all the trip. 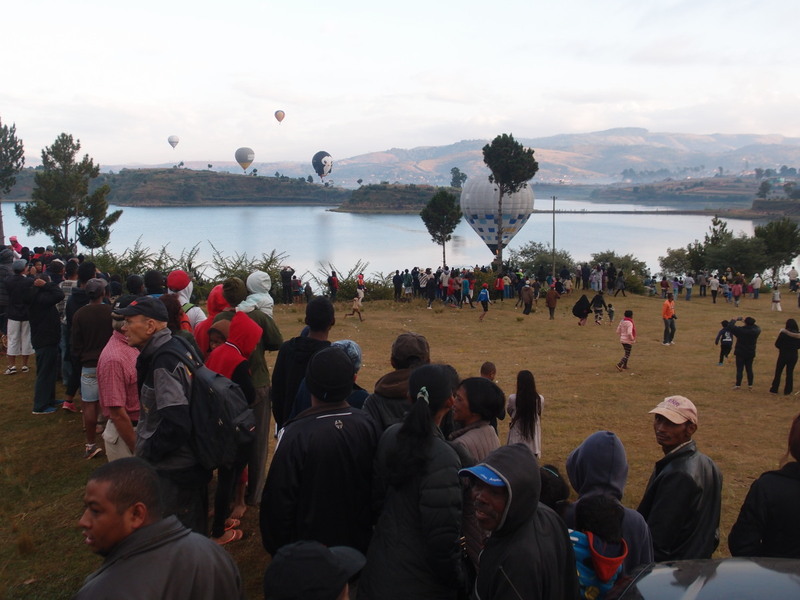 Today we arrived Antsirabe to check the balloons, test the gaz and organize the equipment. We checked the general GPS that will be following all the trip with points every 3 hours since the 20th. 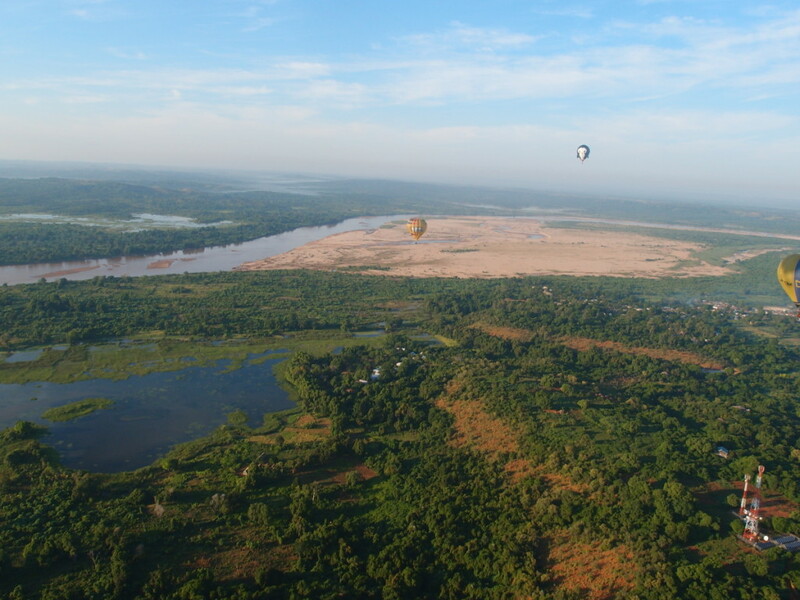 Tomorrow we will look for take off places in this wonderful area and check one of the GPS that will be active just during the flights with points every 5 minutes that will allow us make easier the retrieve and that will be possible to follow in the other map with a smaller area. Landscape is incredible and I prefer just to put one picture (not the best) to not advance what will be a very challenging but at the same time enjoying experience.